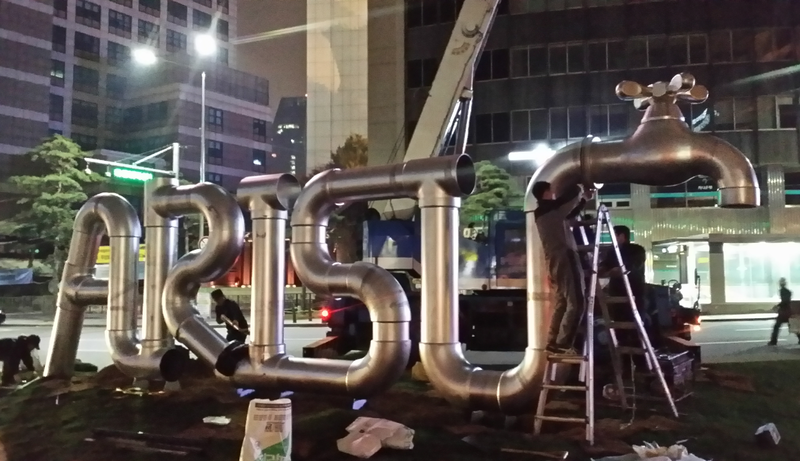 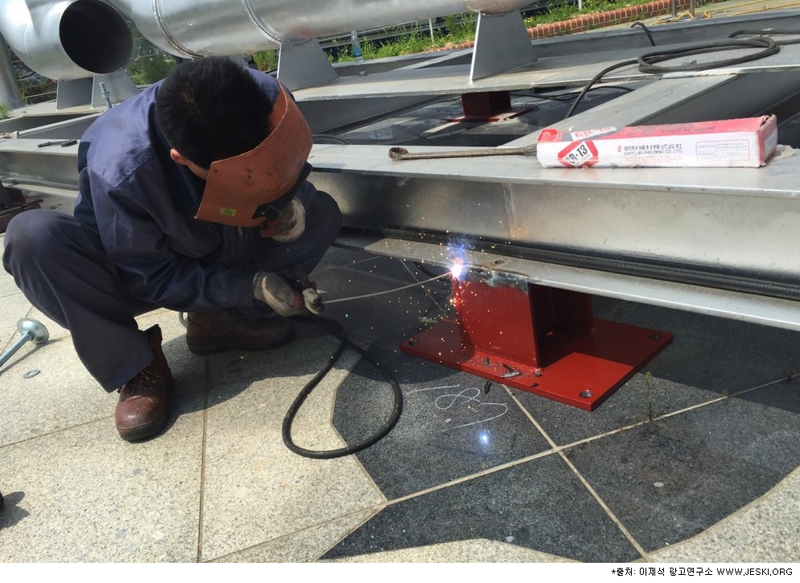 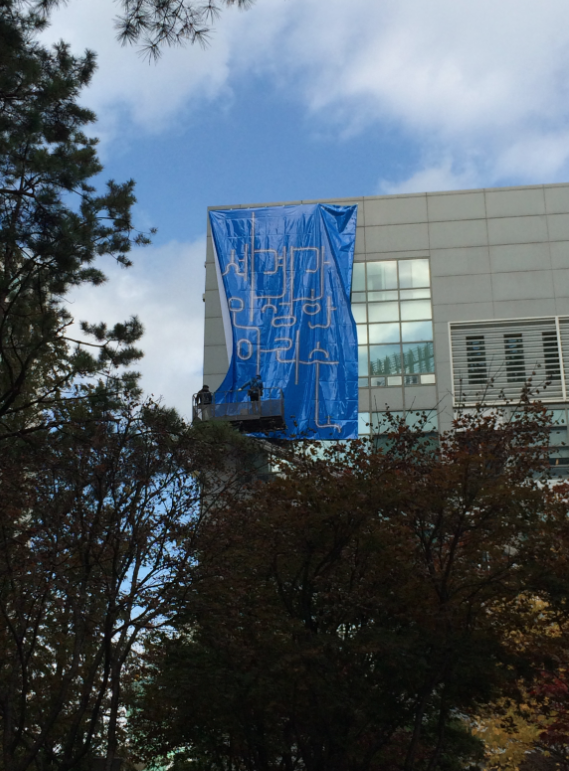 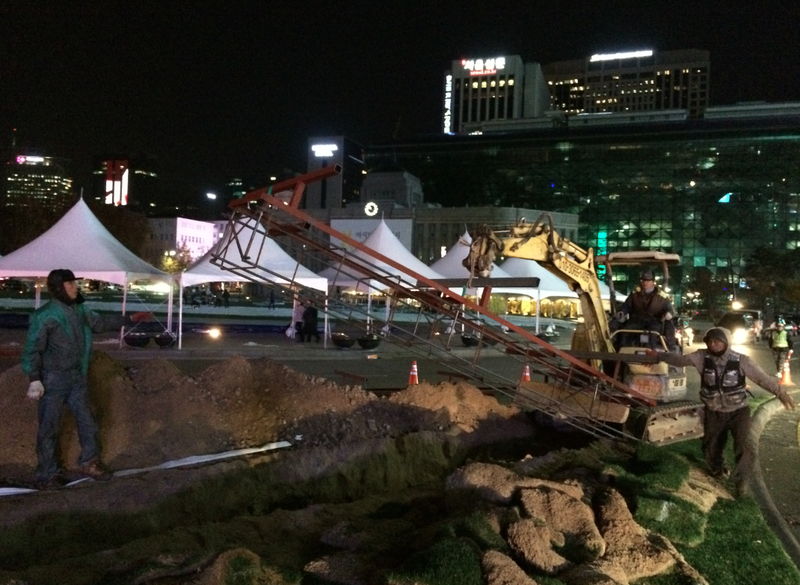 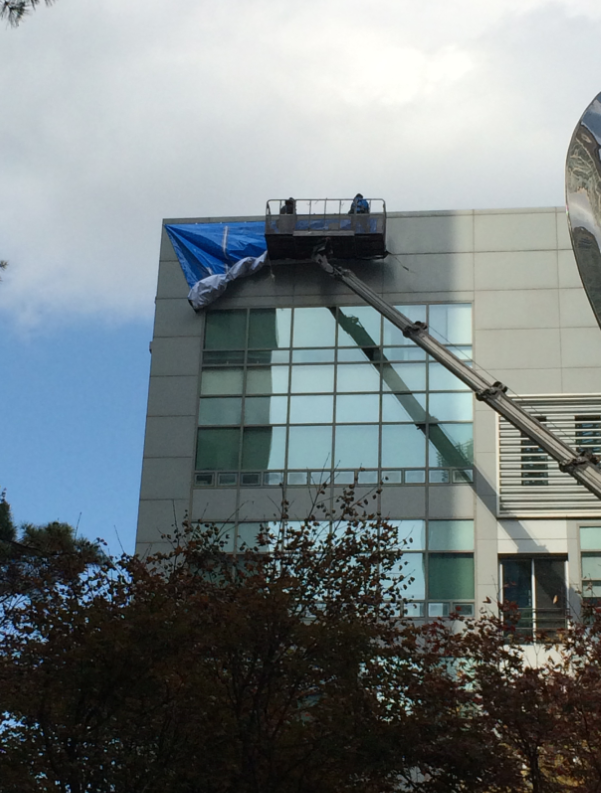 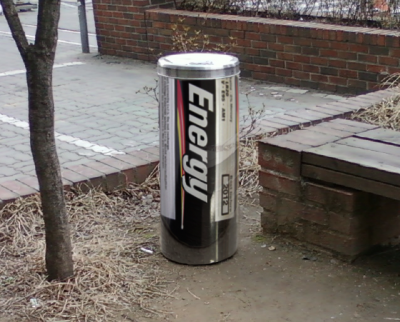 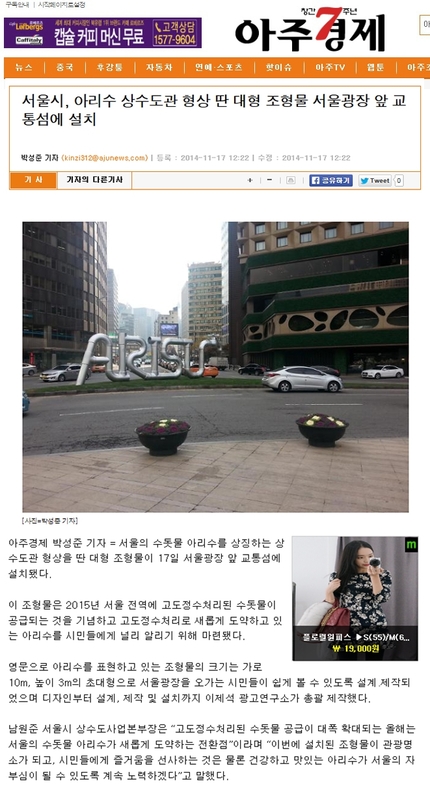 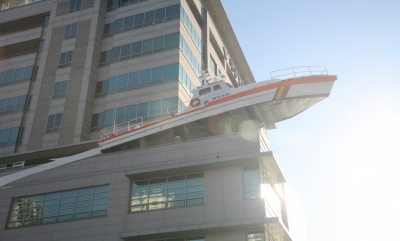 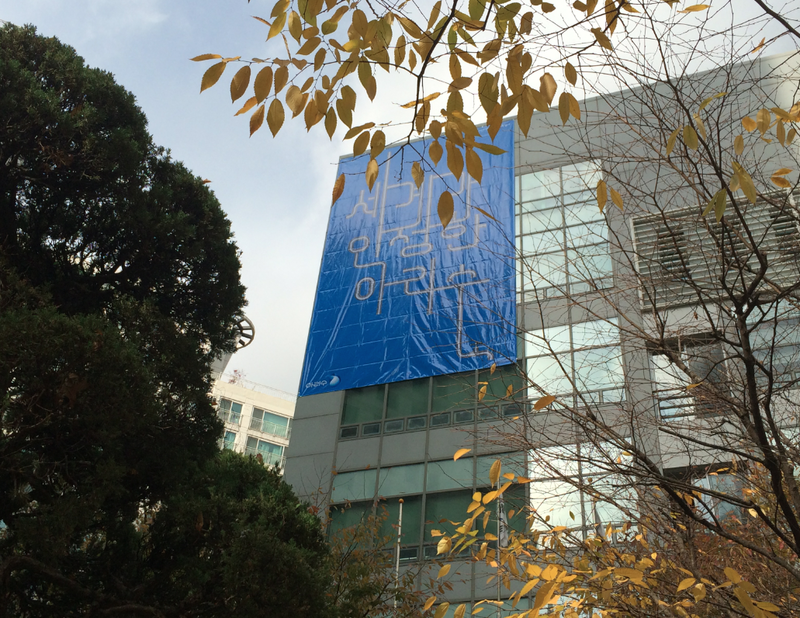 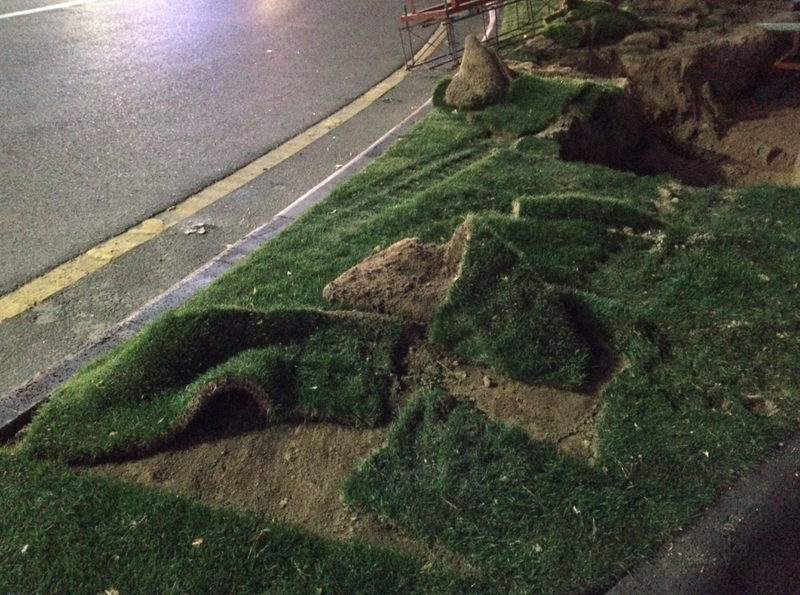 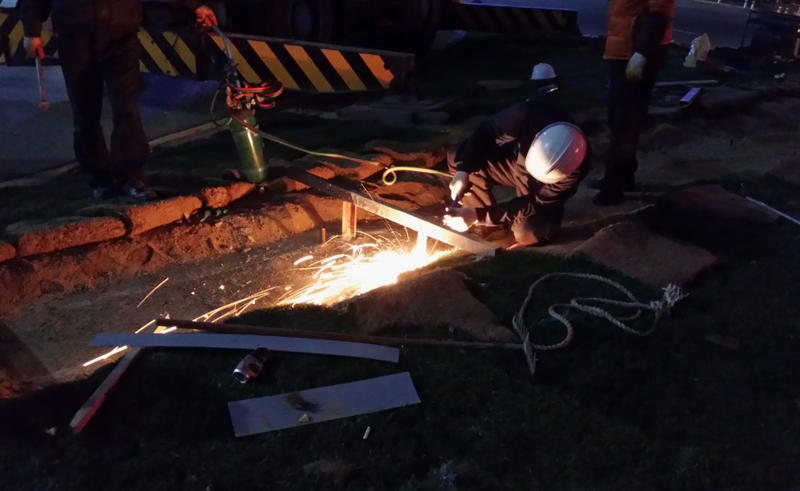 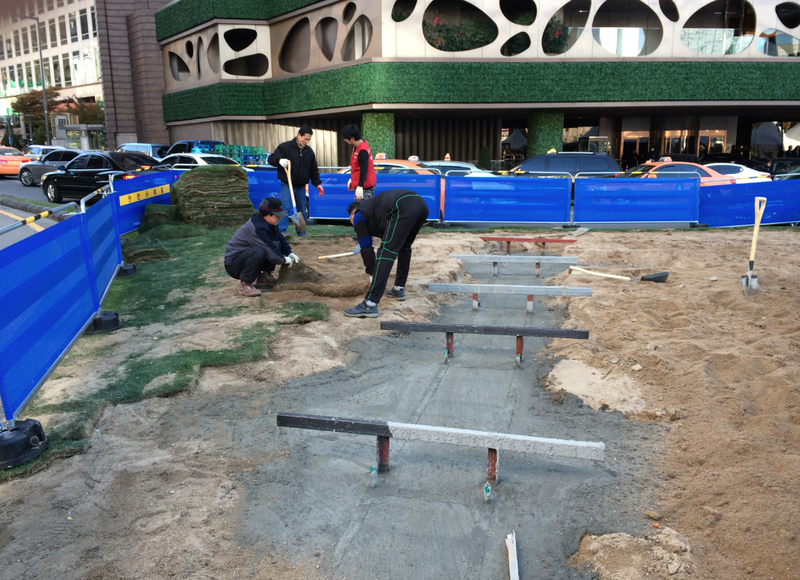 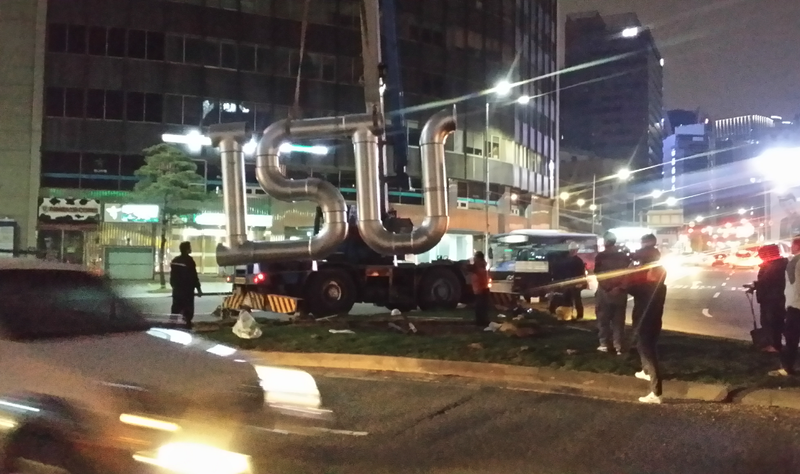 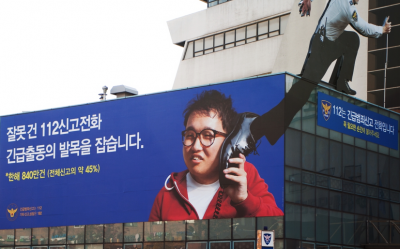 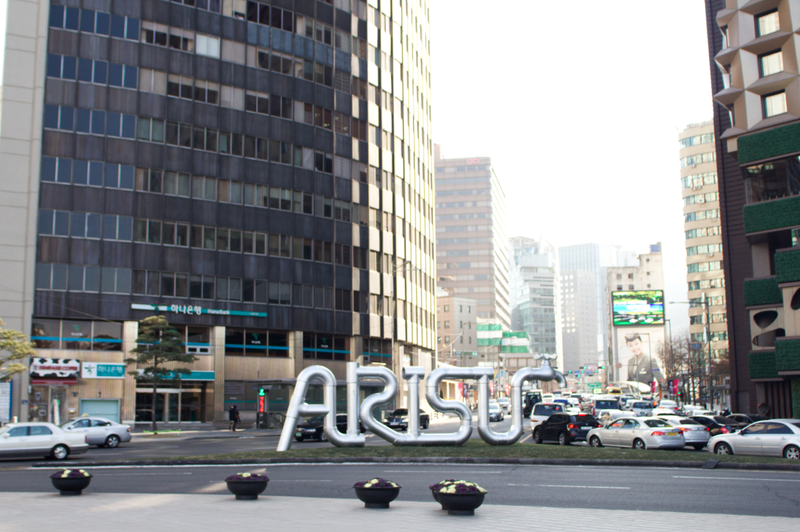 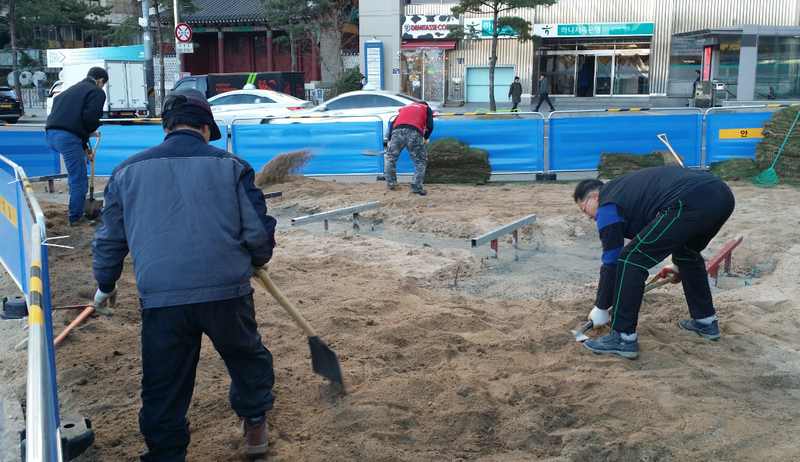 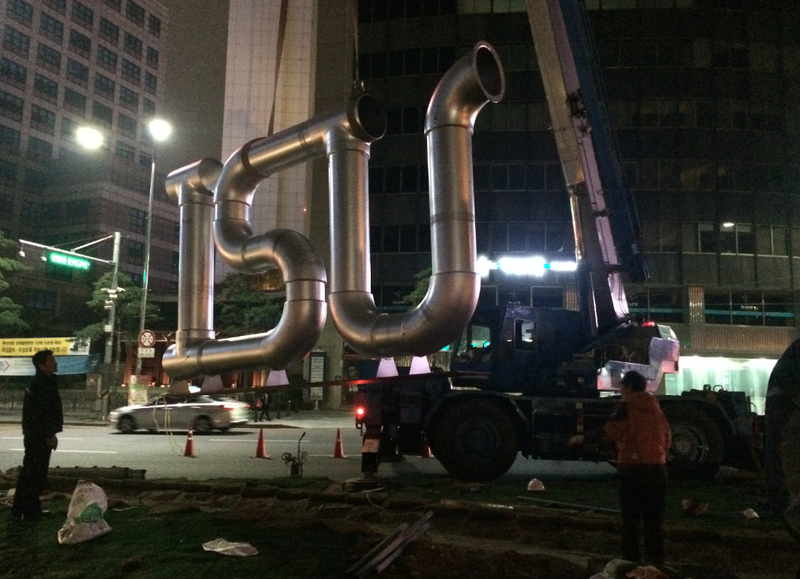 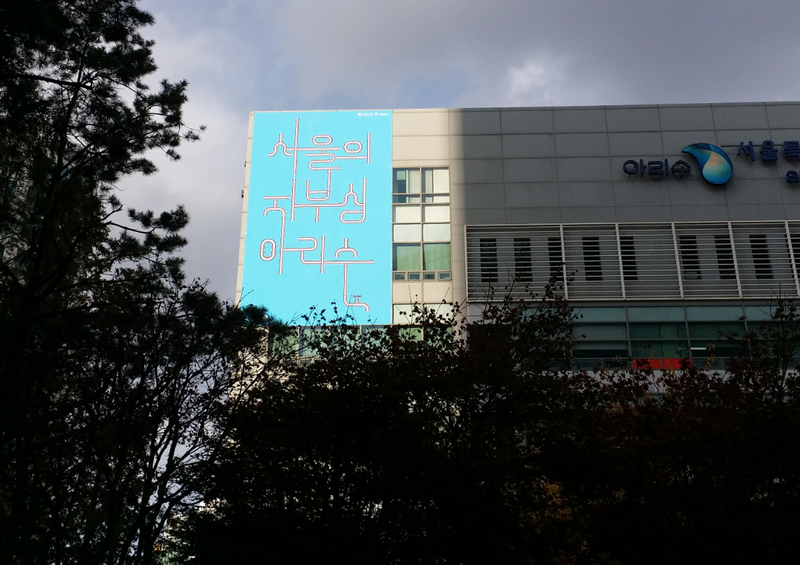 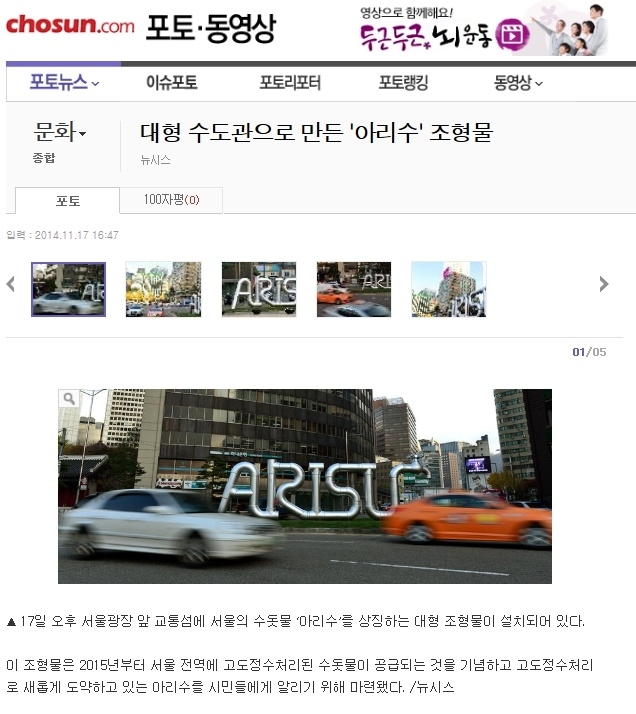 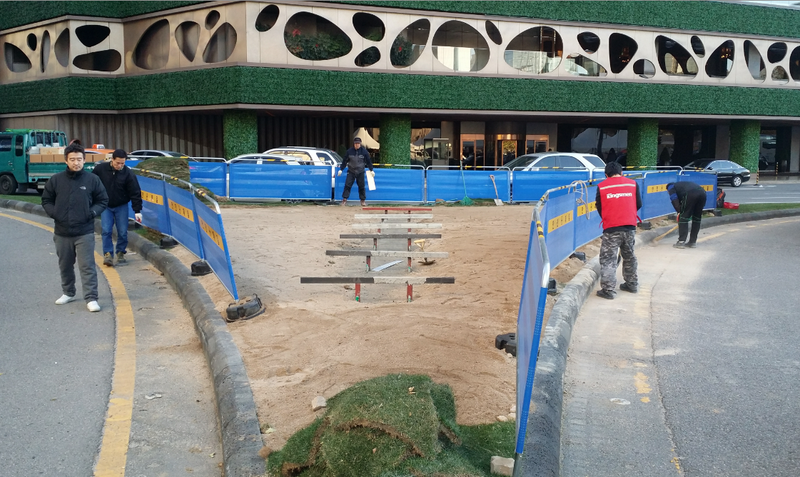 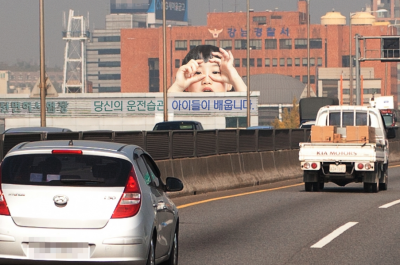 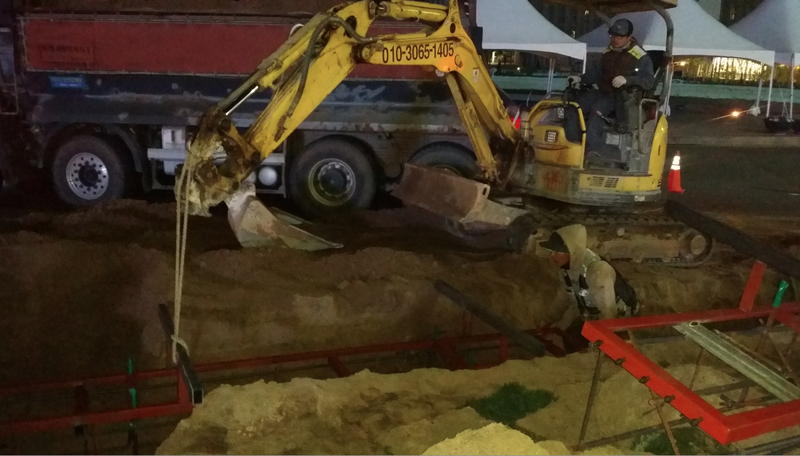 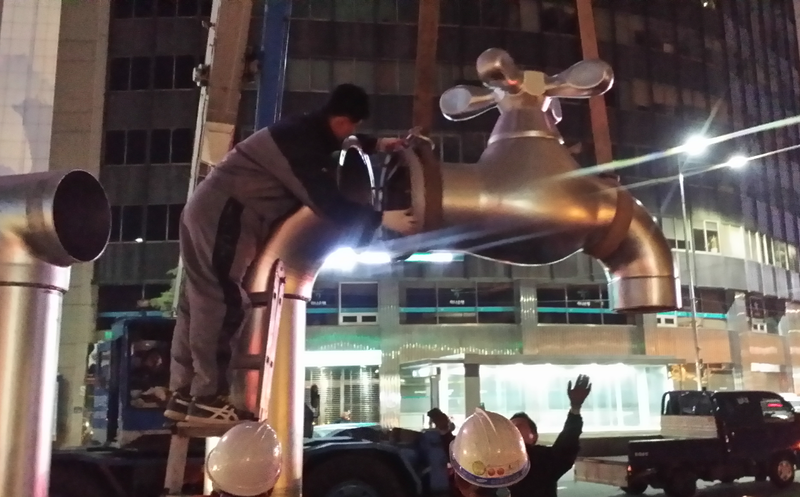 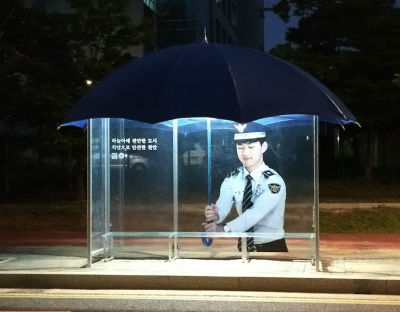 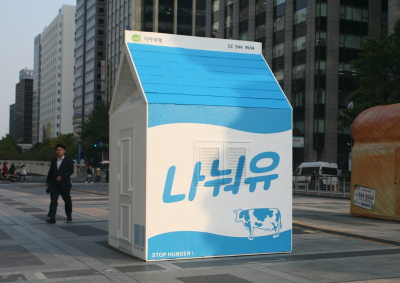 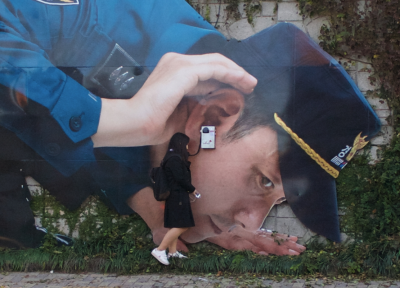 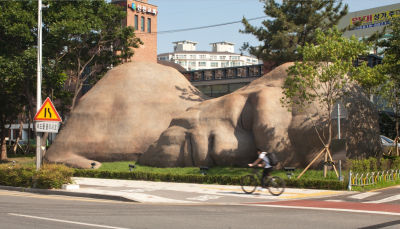 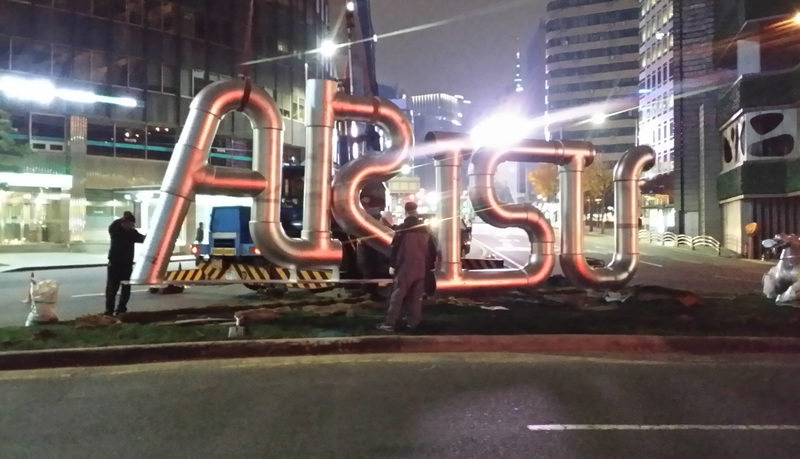 Location: Traffic Island between Seoul City Hall and Plaza Hotel. 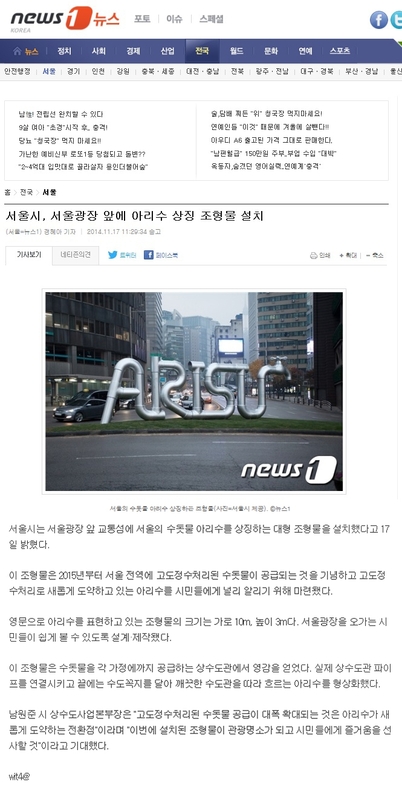 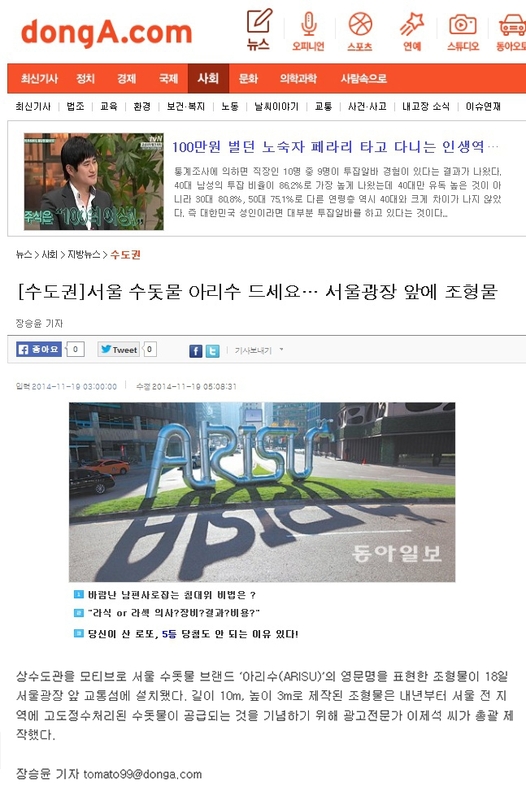 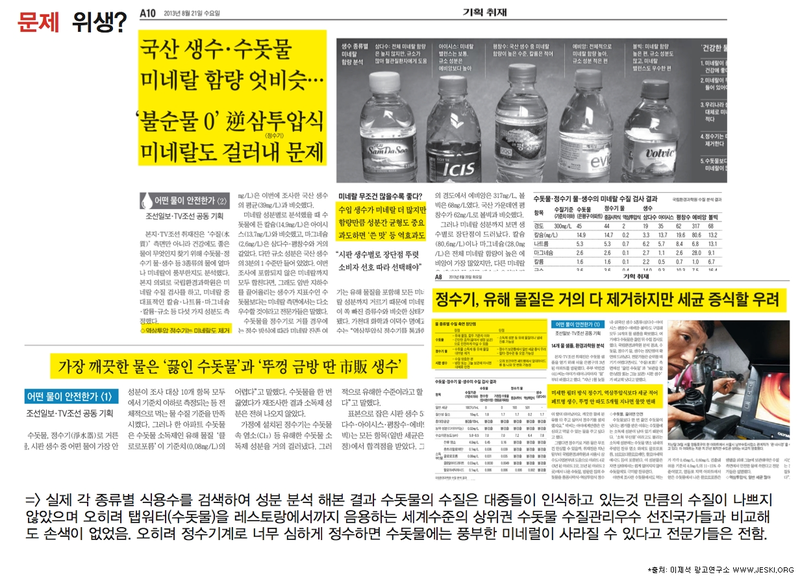 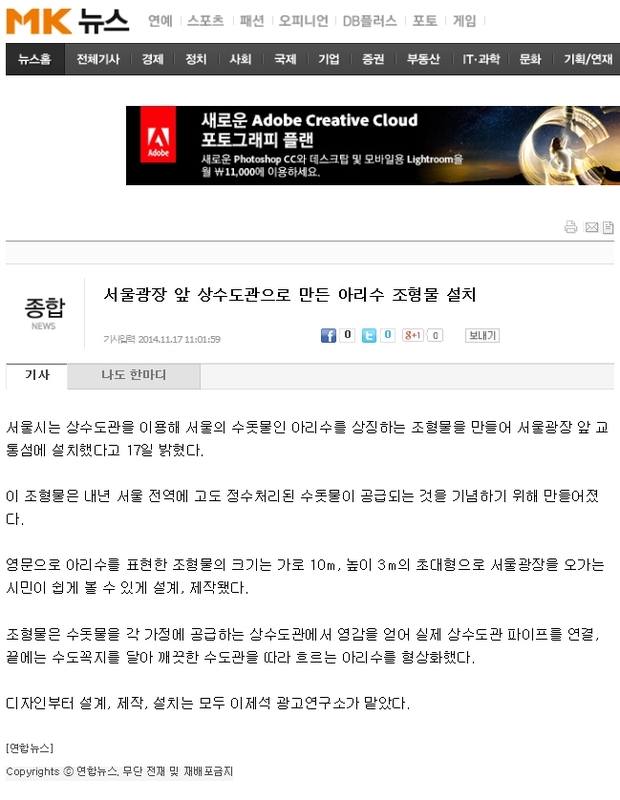 장소: 서울 시청 광장과 플라자 호텔 사이 교통섬. 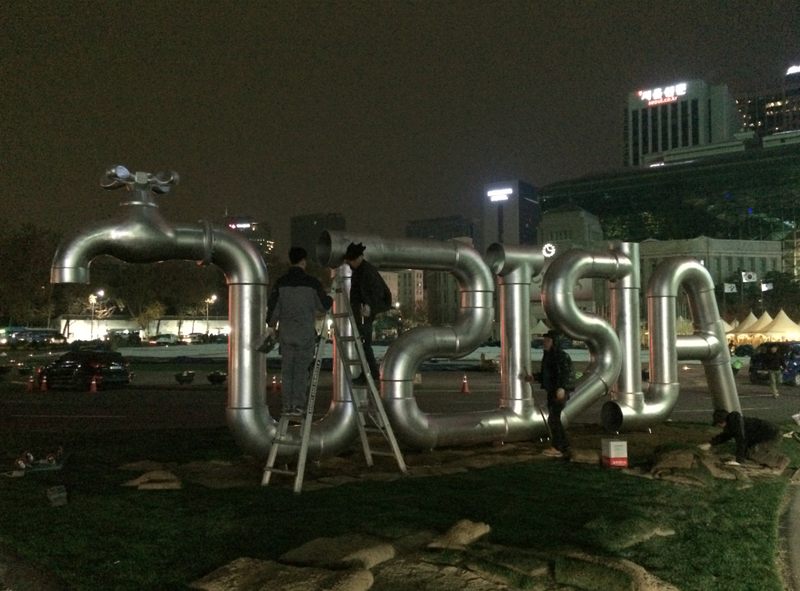 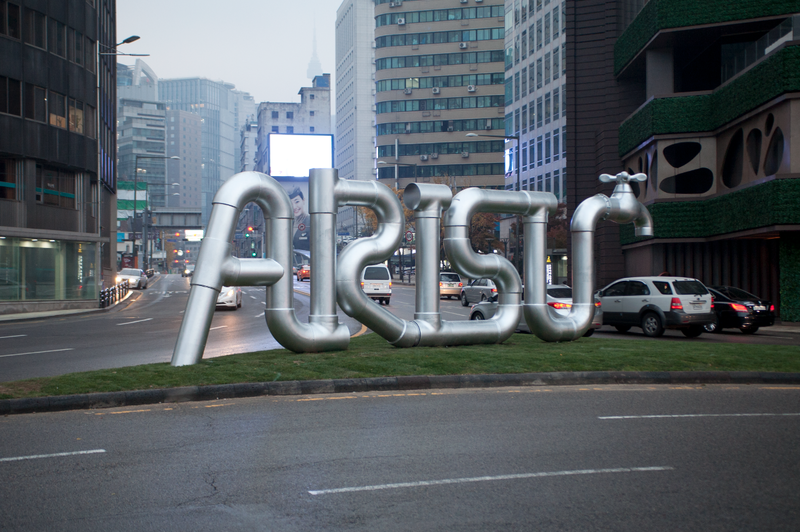 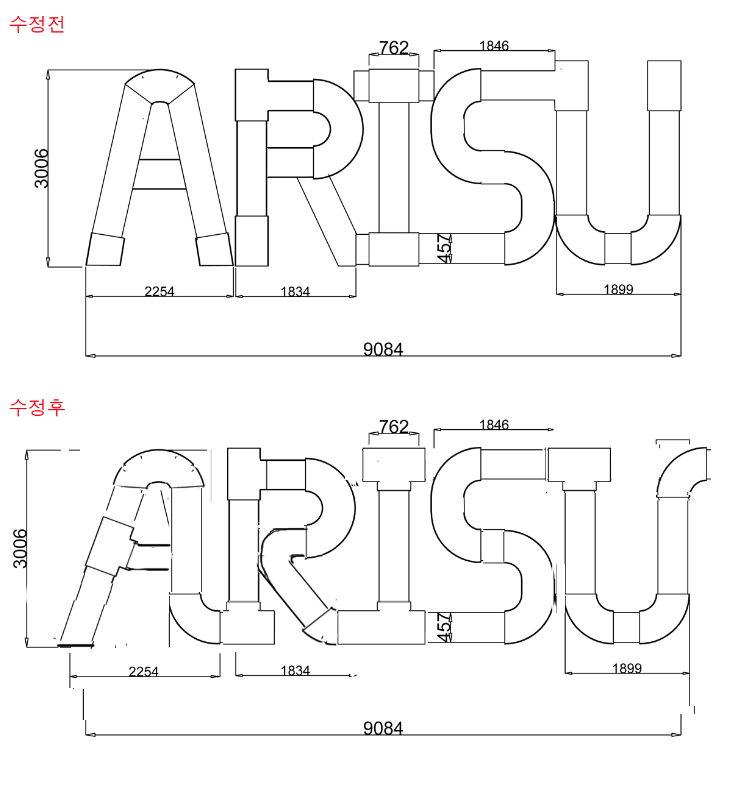 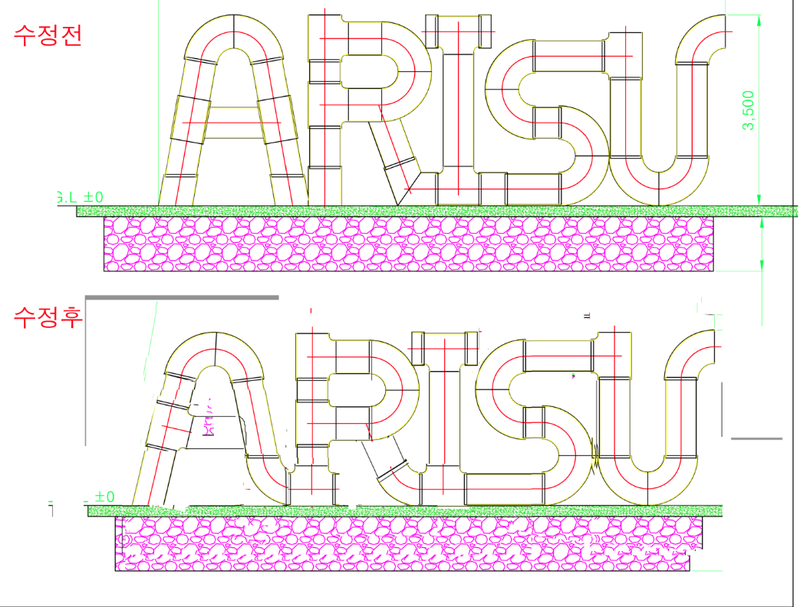 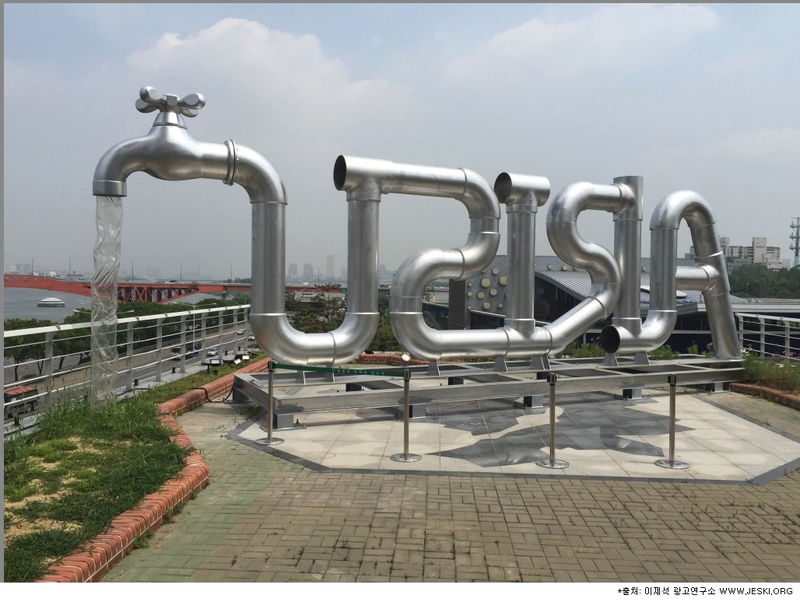 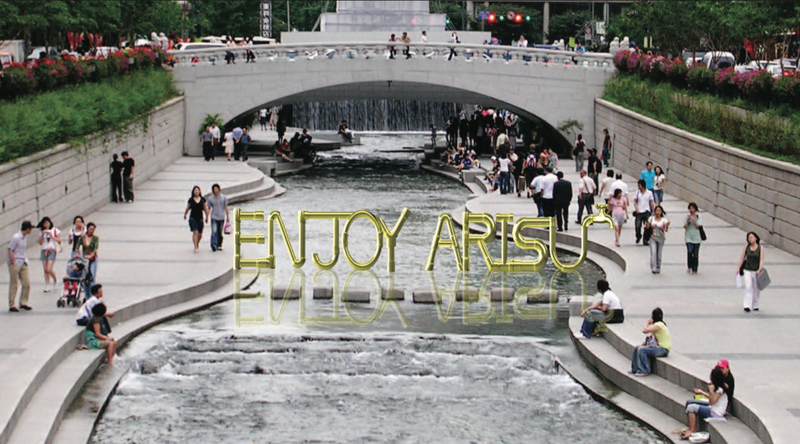 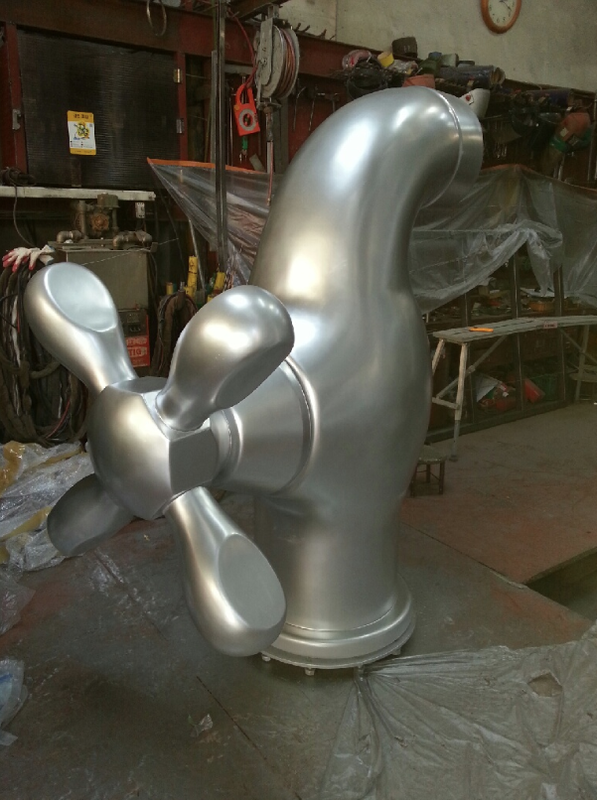 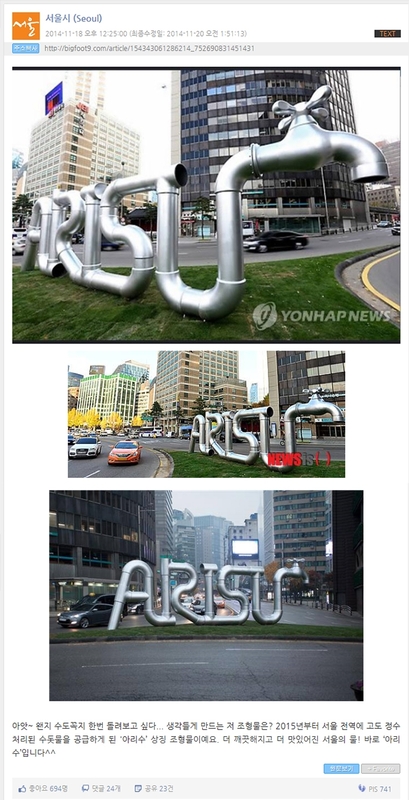 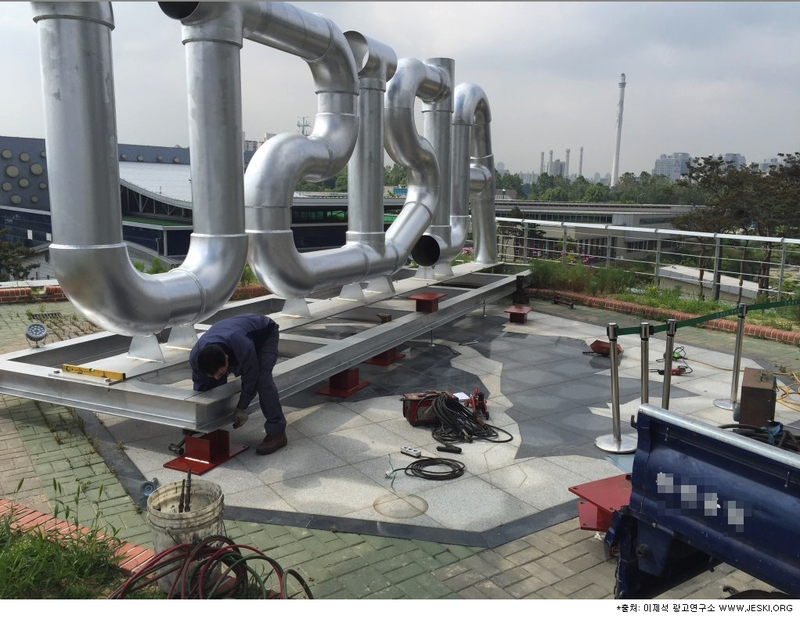 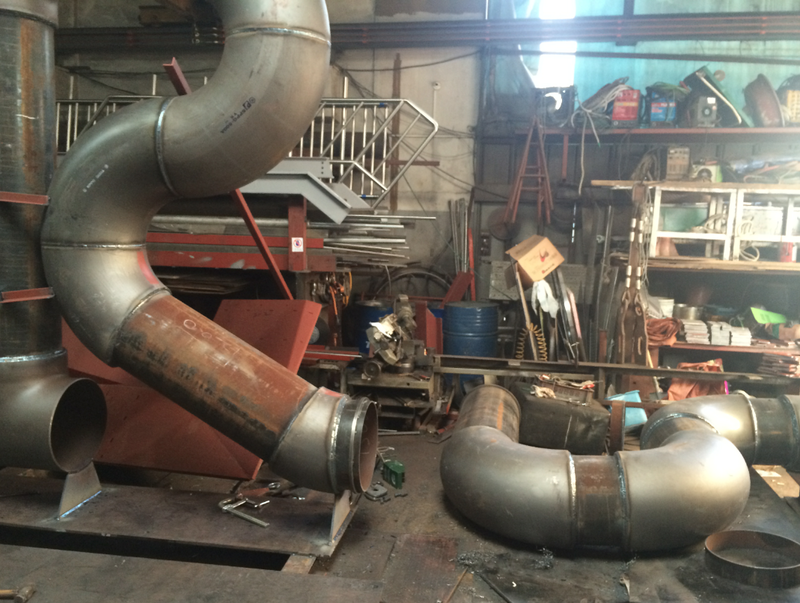 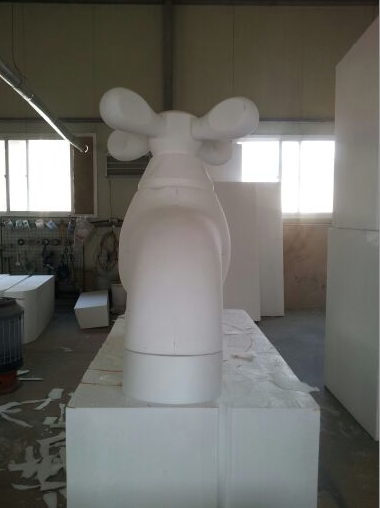 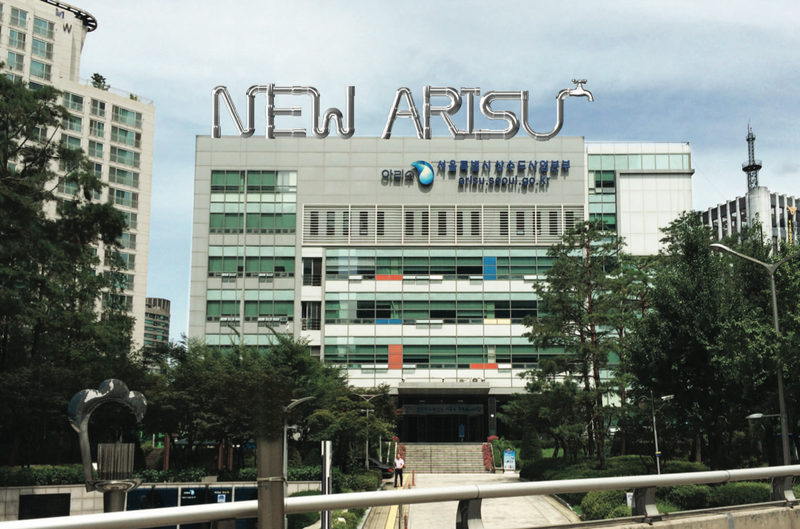 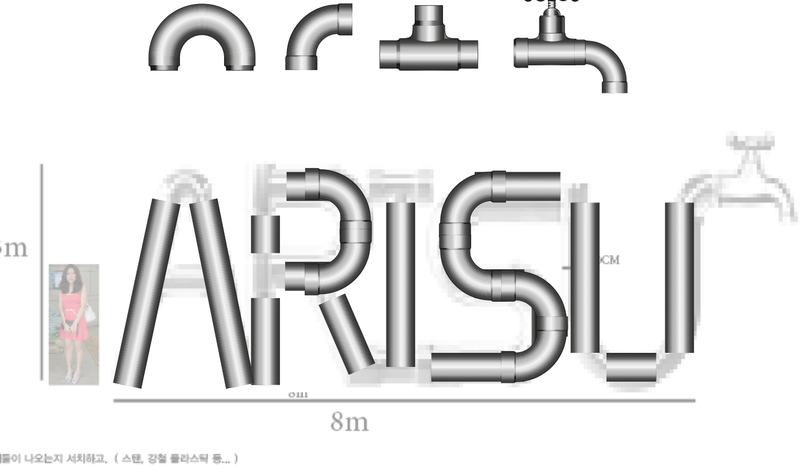 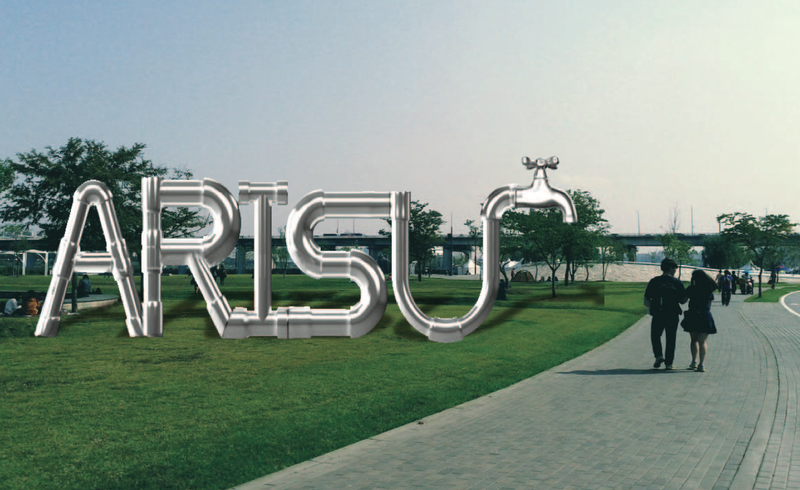 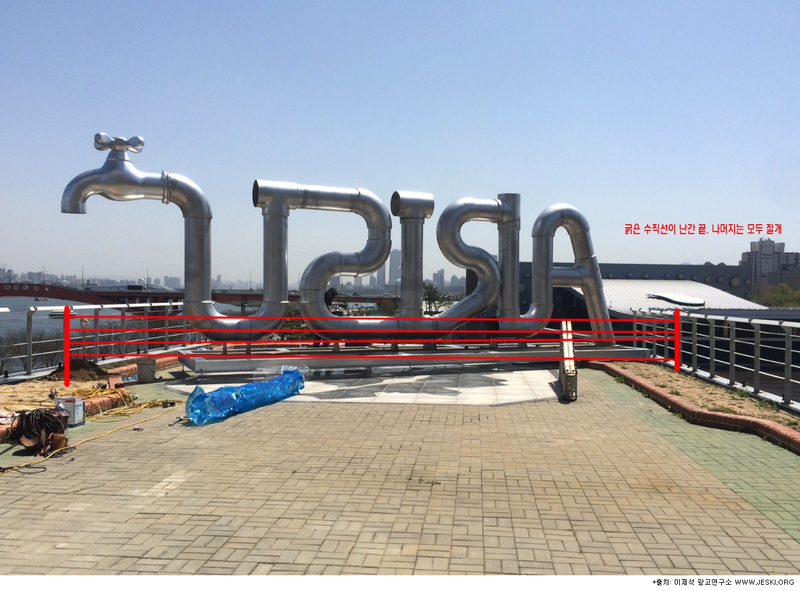 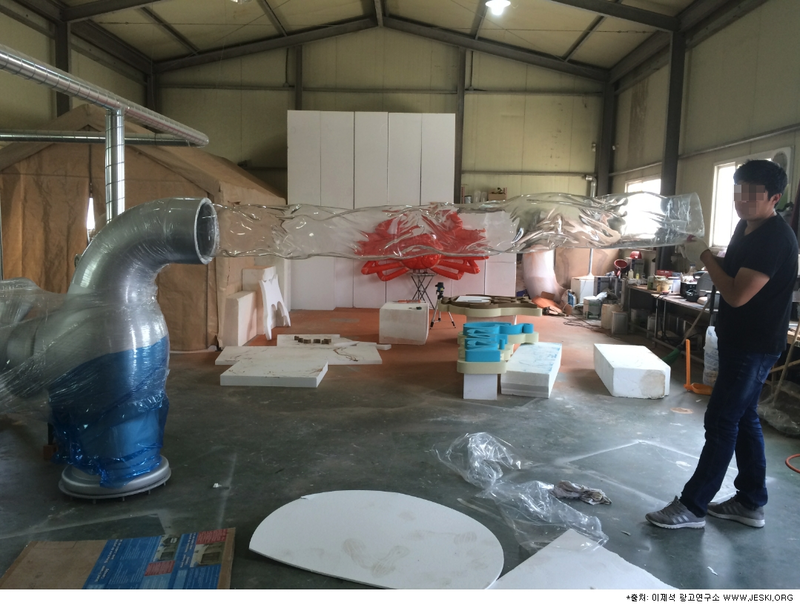 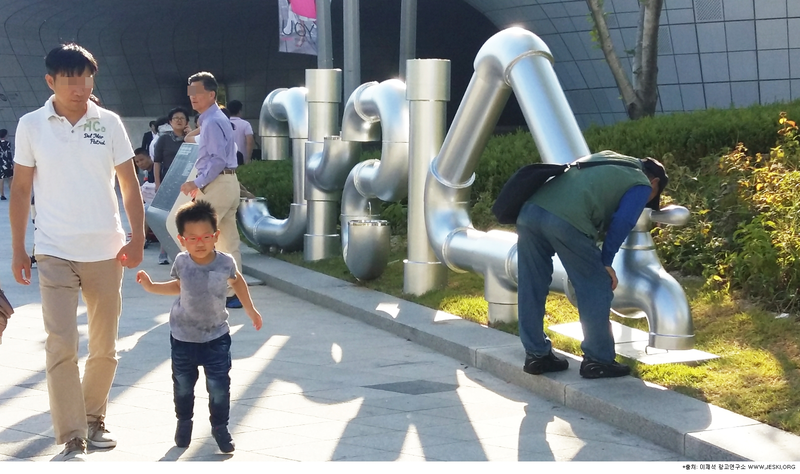 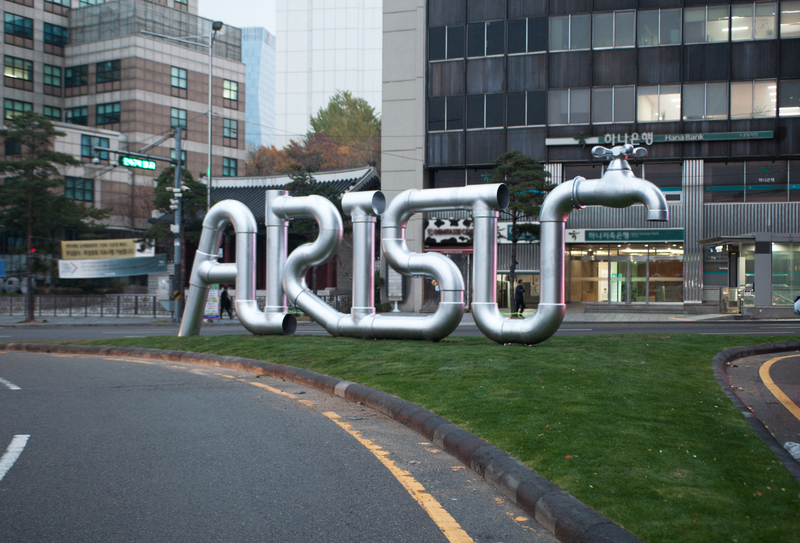 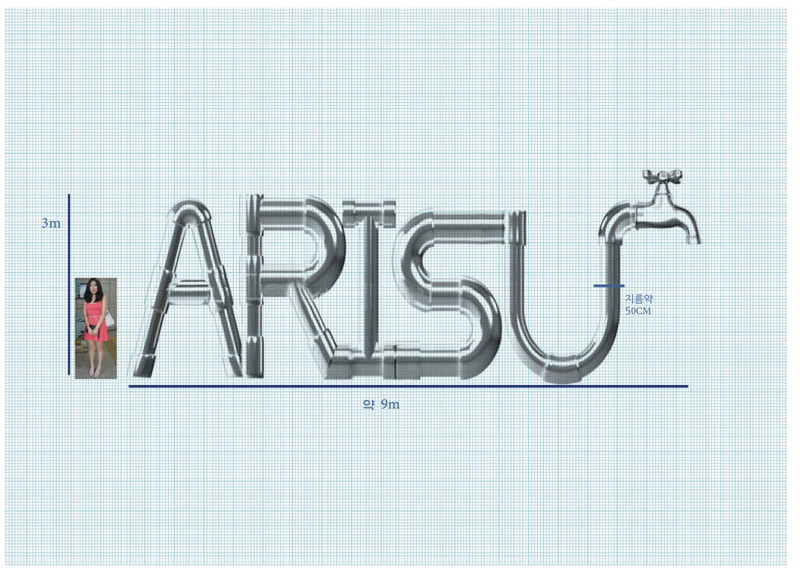 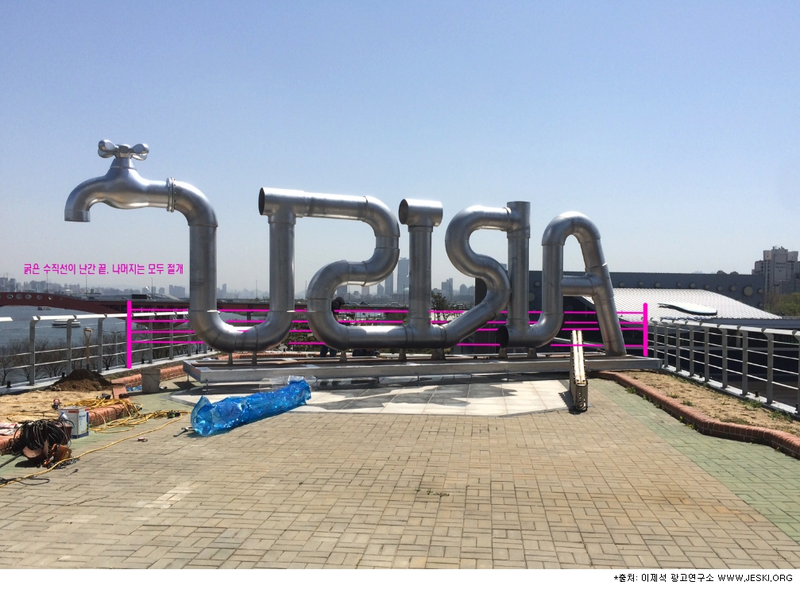 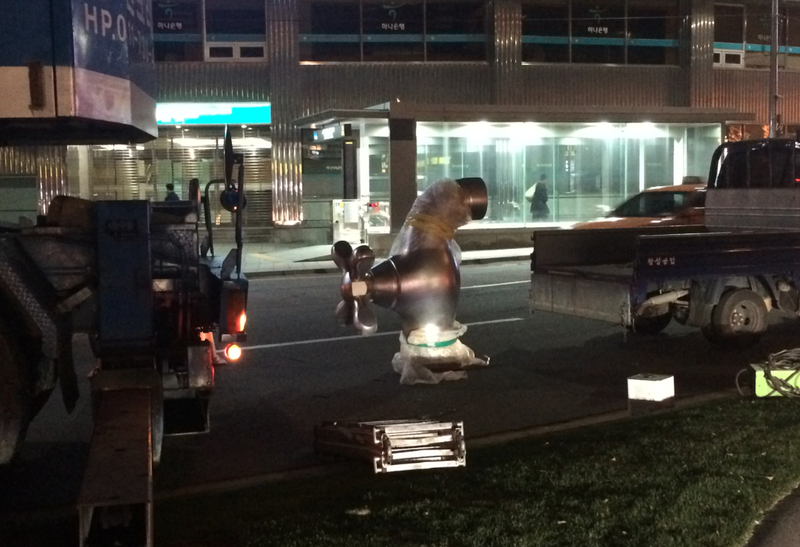 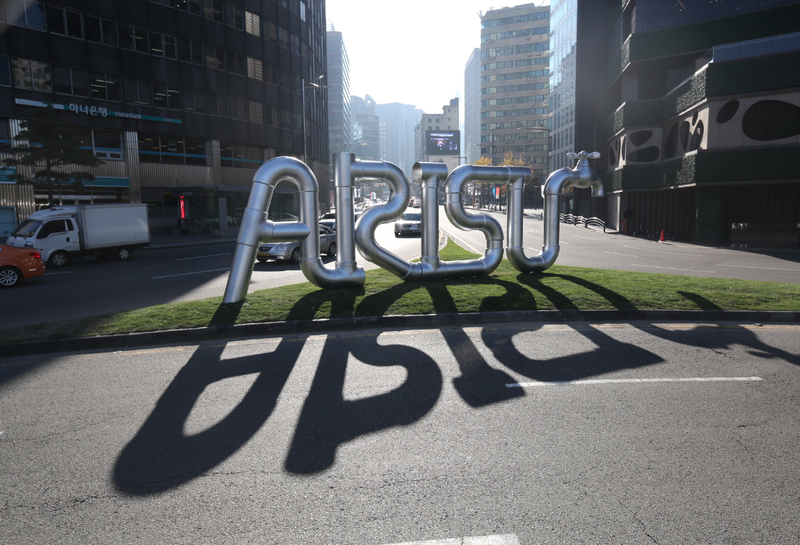 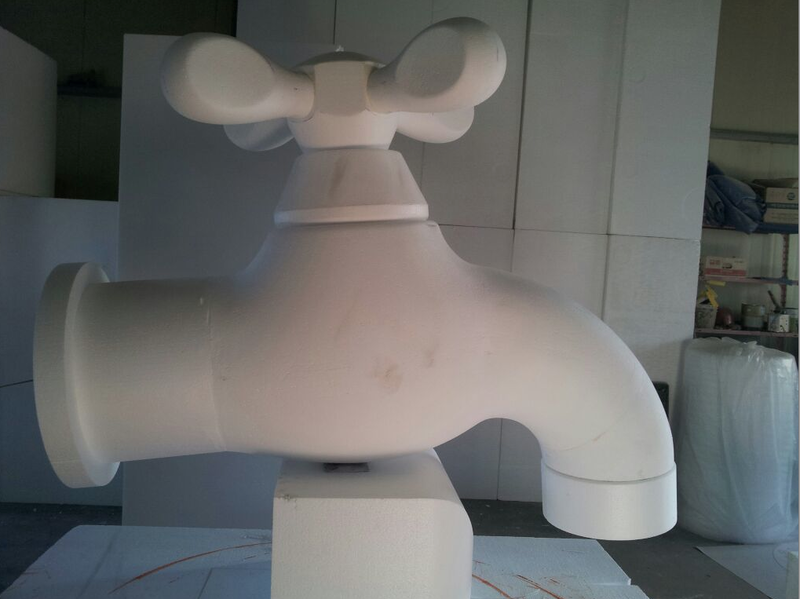 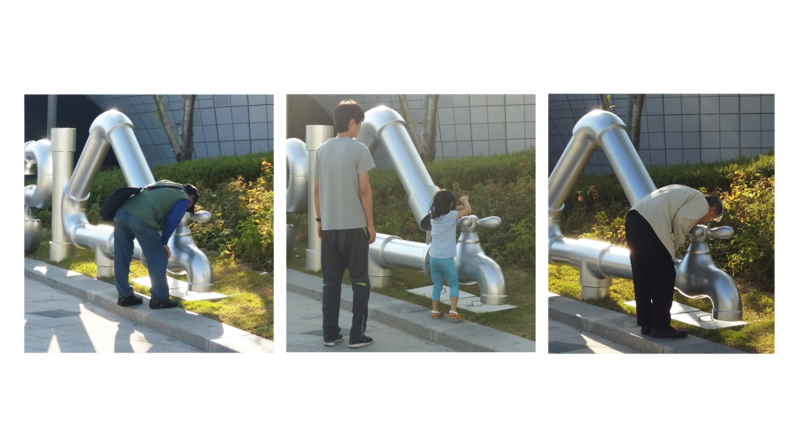 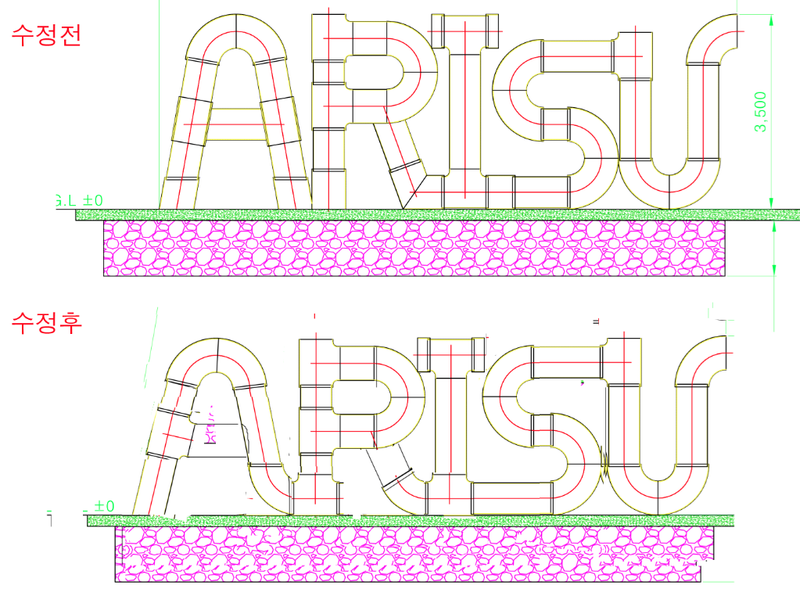 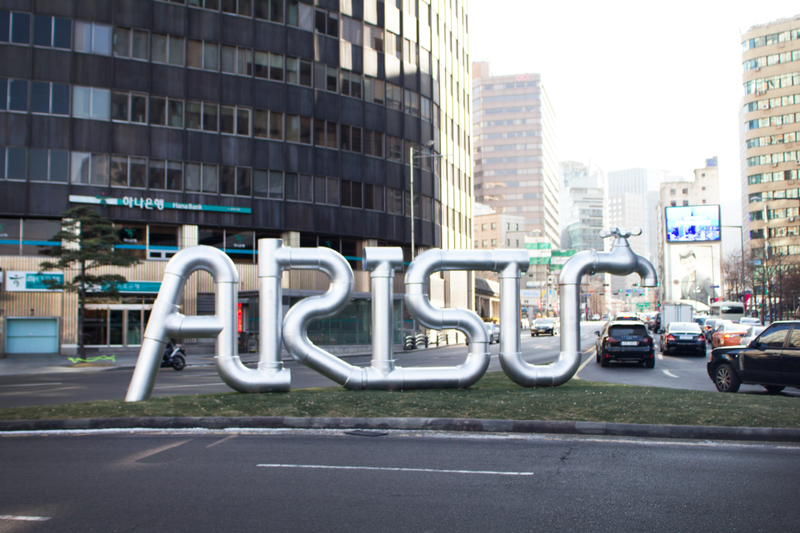 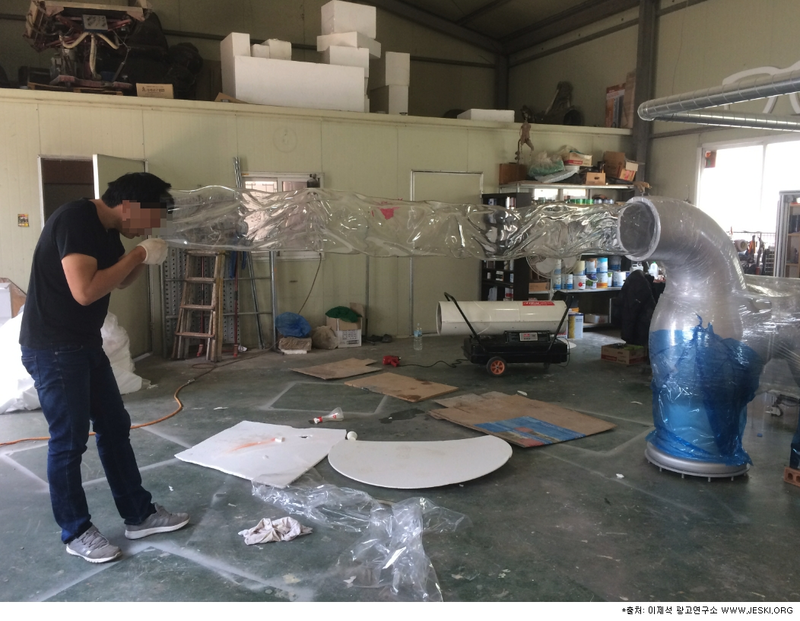 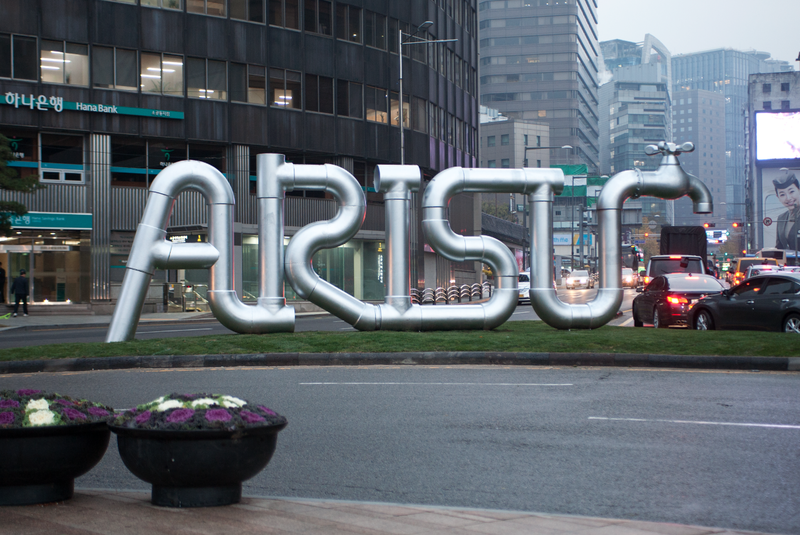 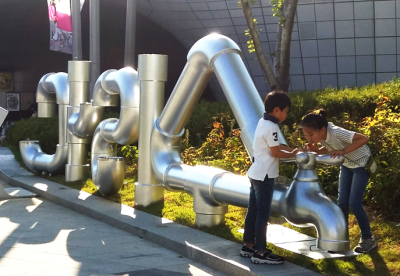 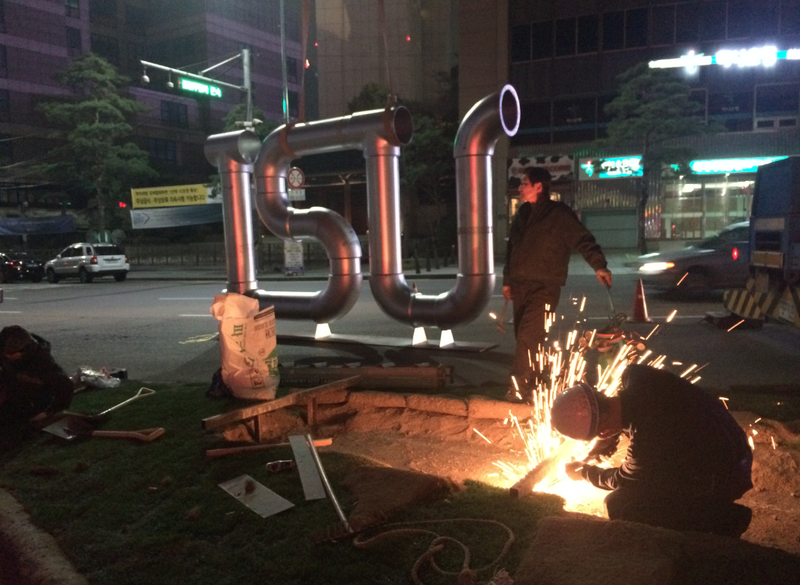 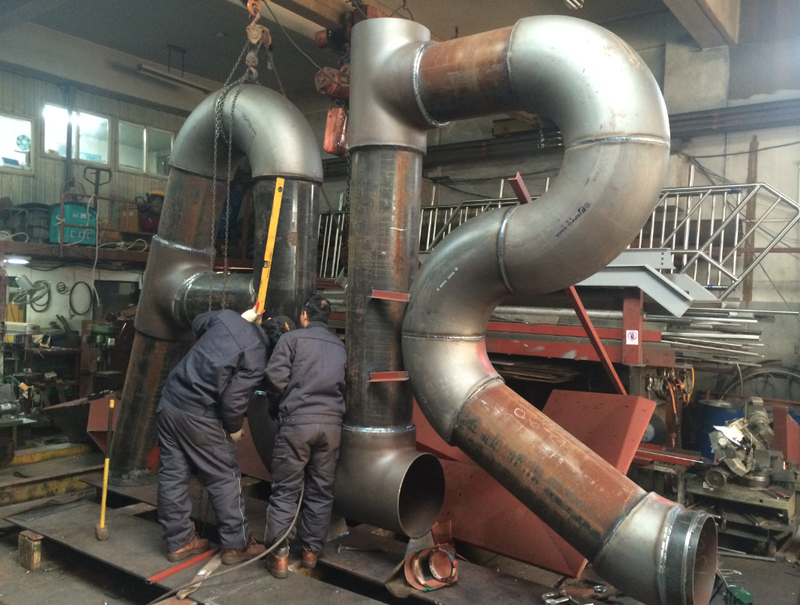 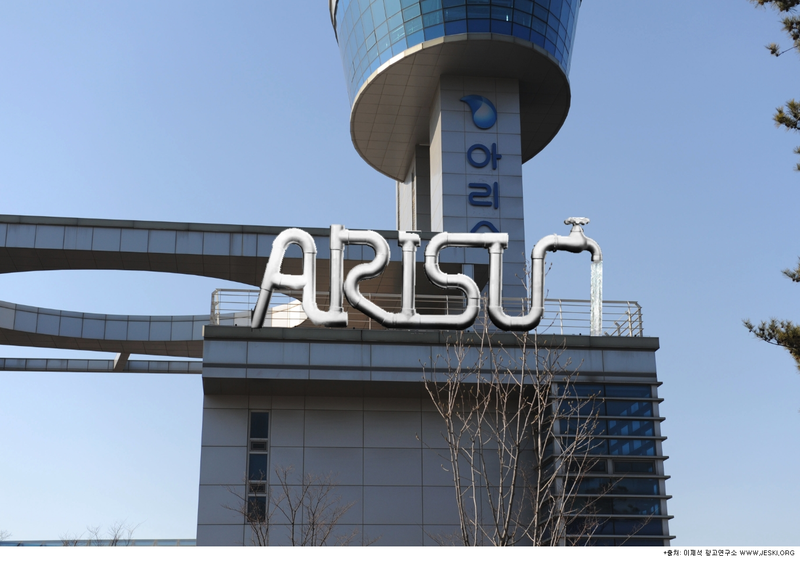 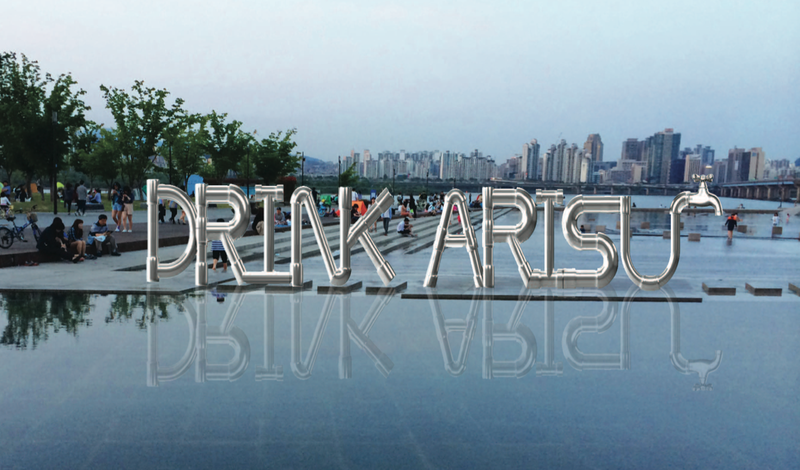 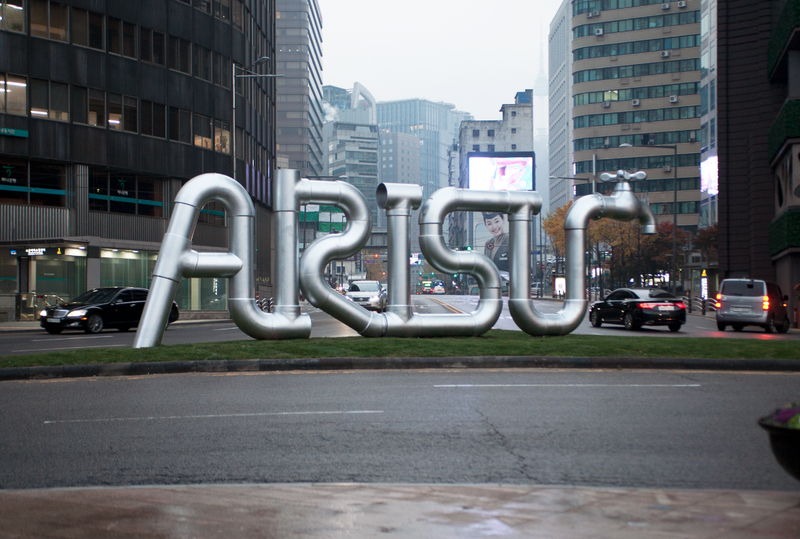 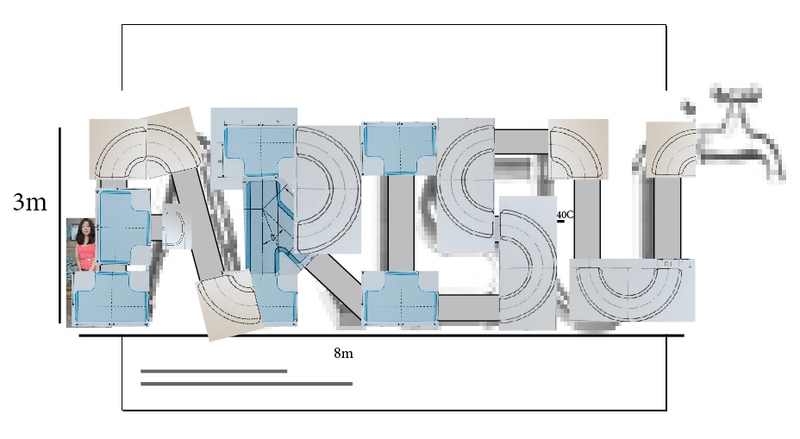 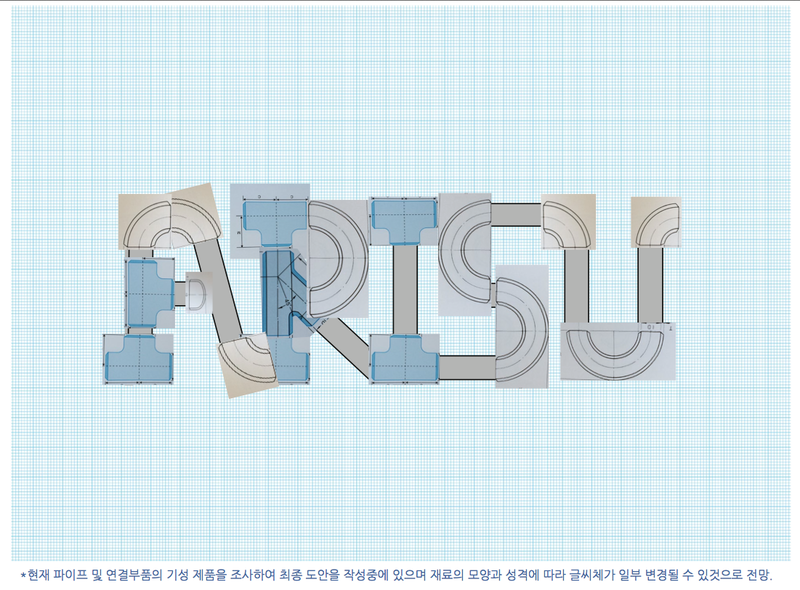 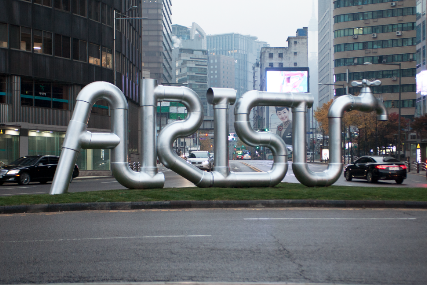 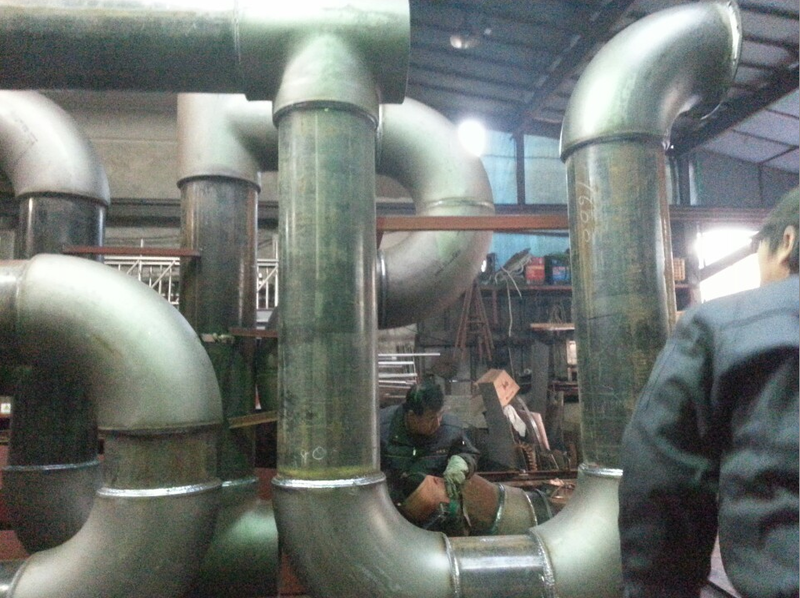 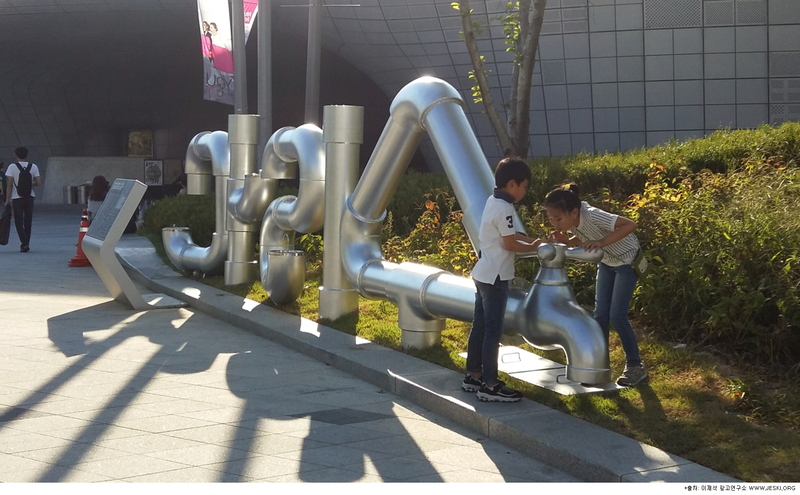 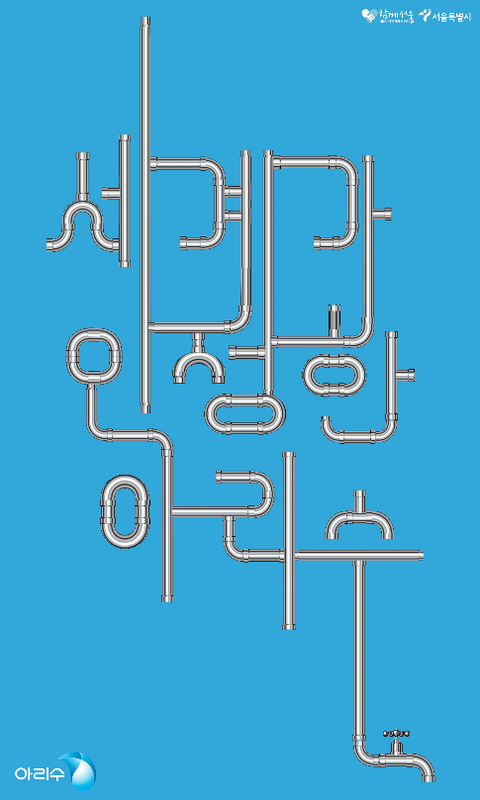 ARISU sculpture made out of recycled water supply pipes. 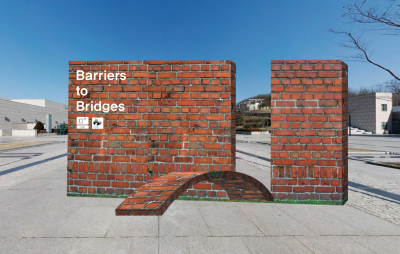 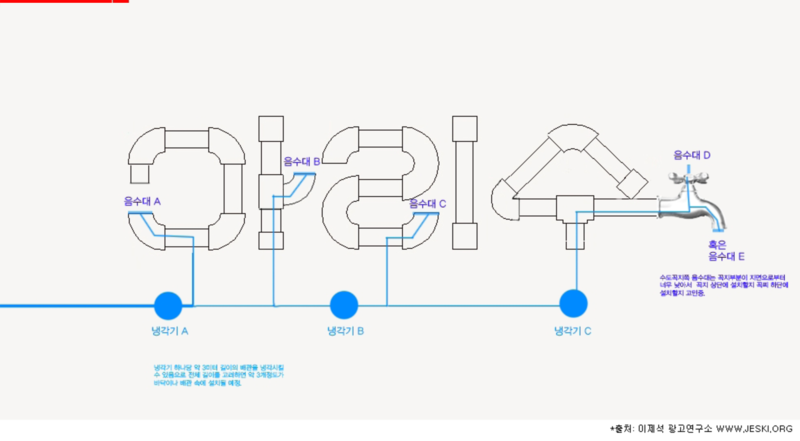 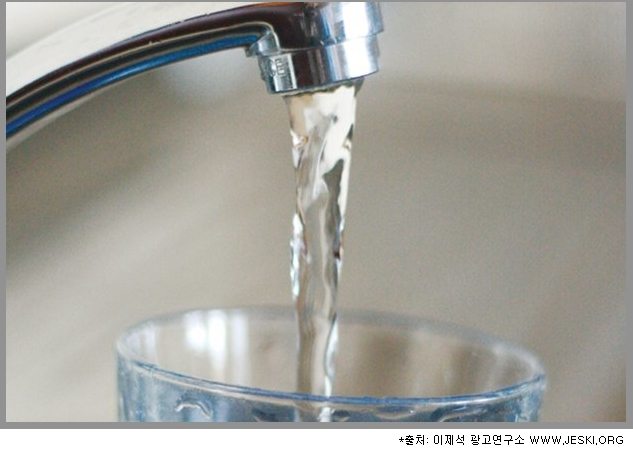 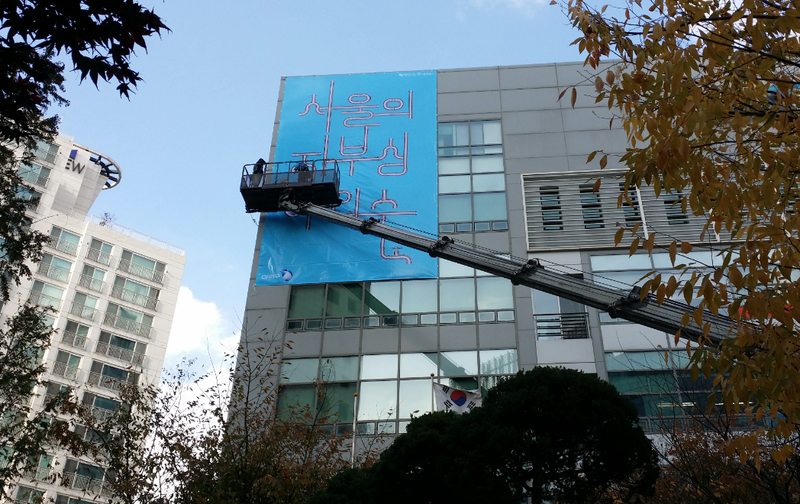 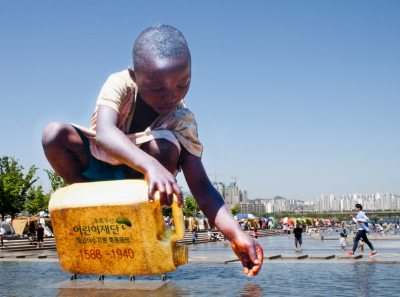 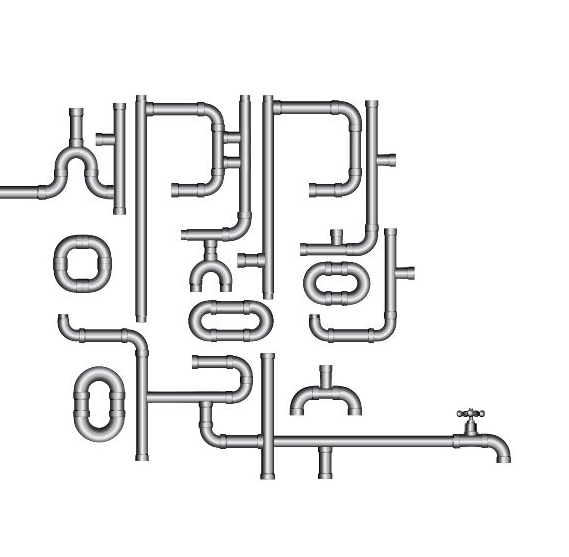 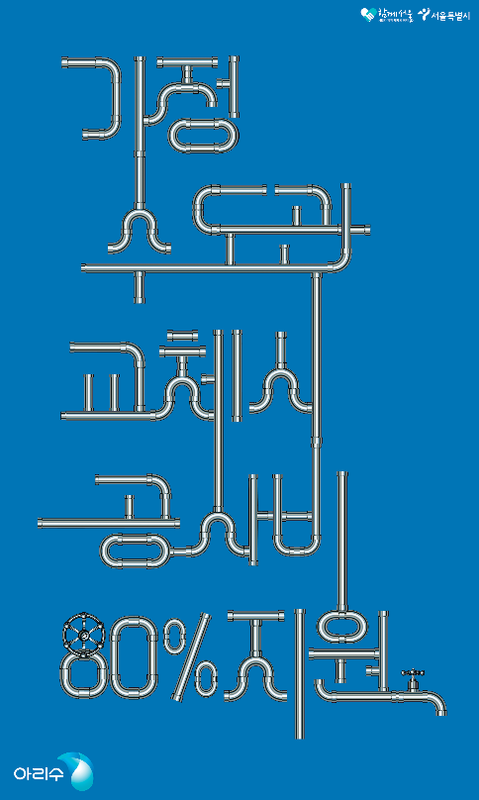 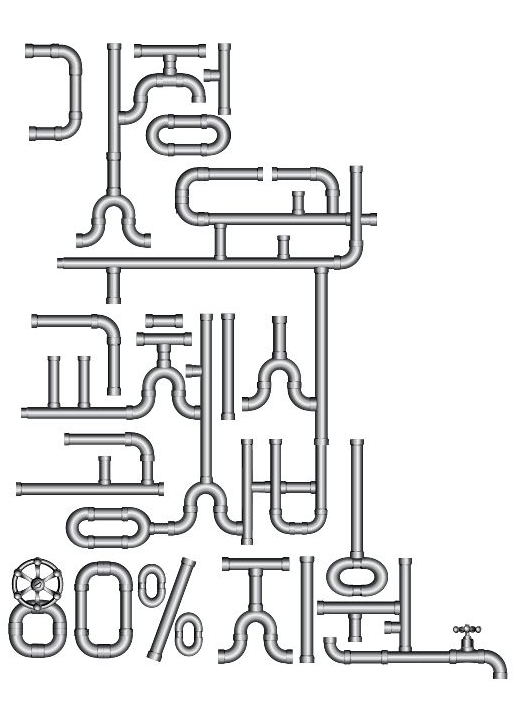 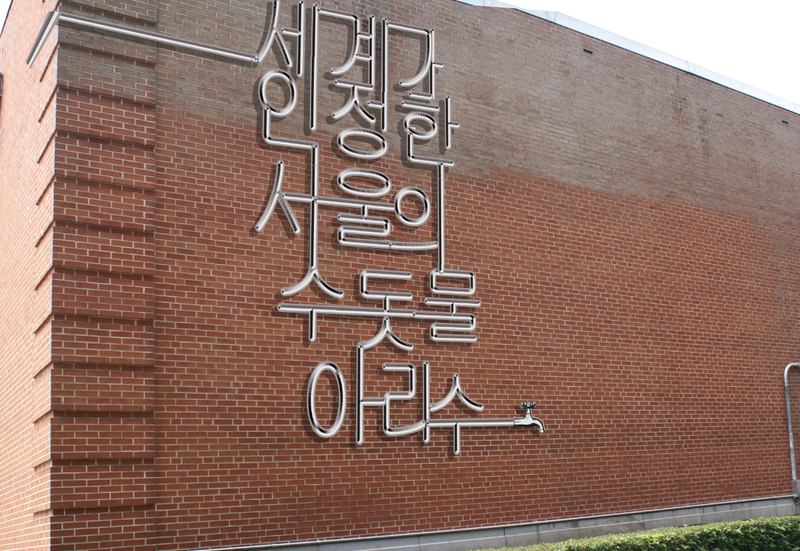 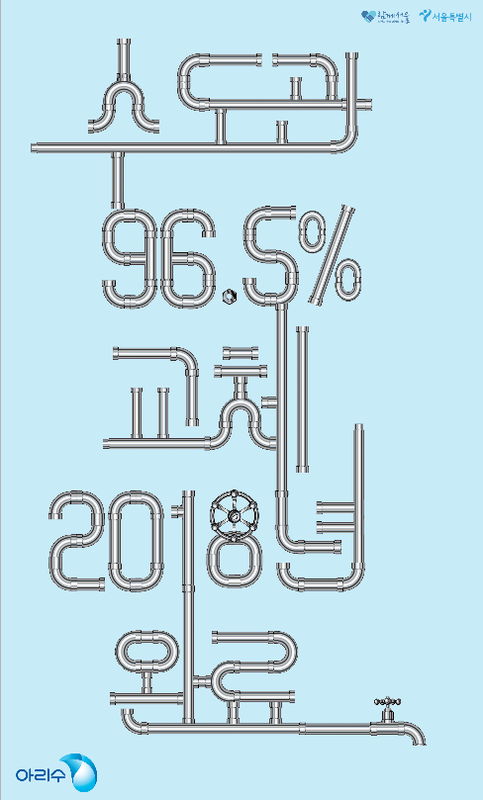 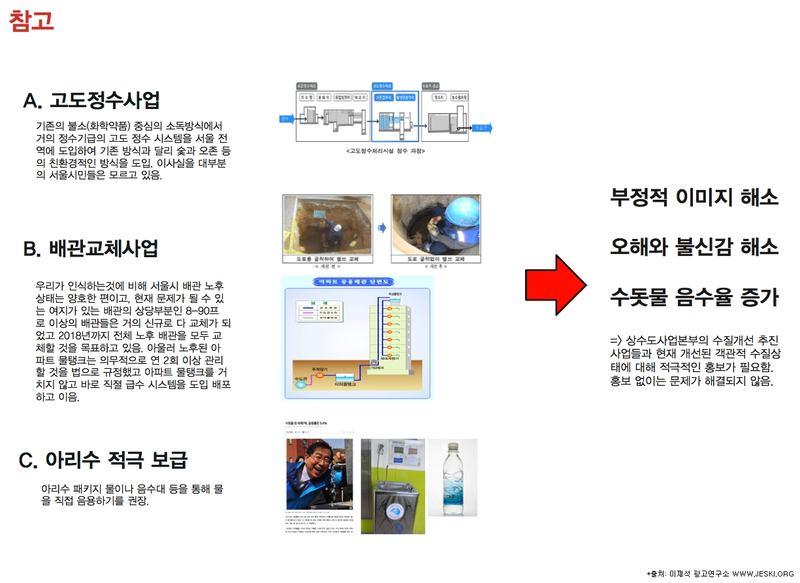 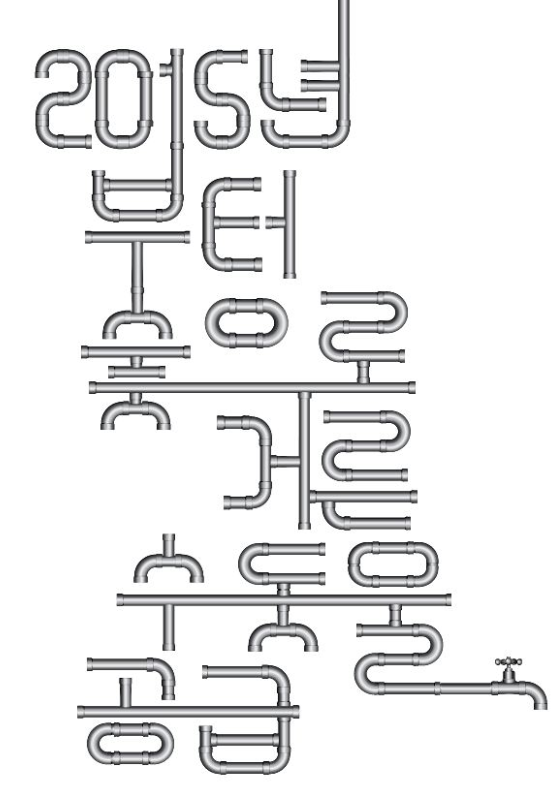 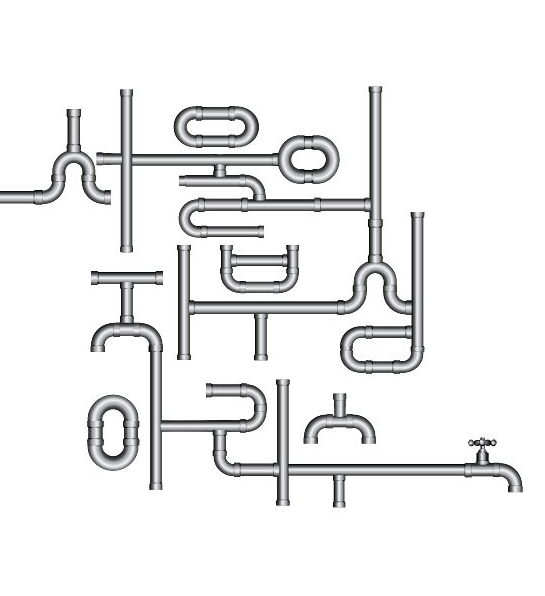 Presenting Identity for Seoul Office of Waterworks and the message through the graphical image inspired by the water supplies. 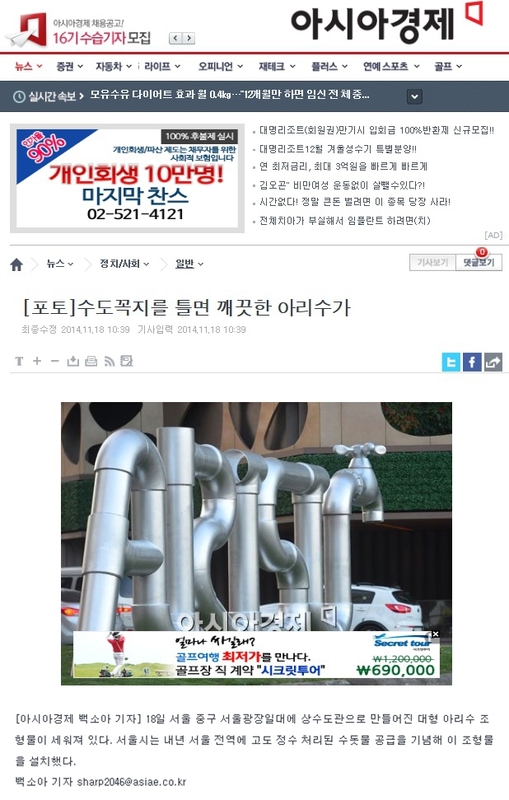 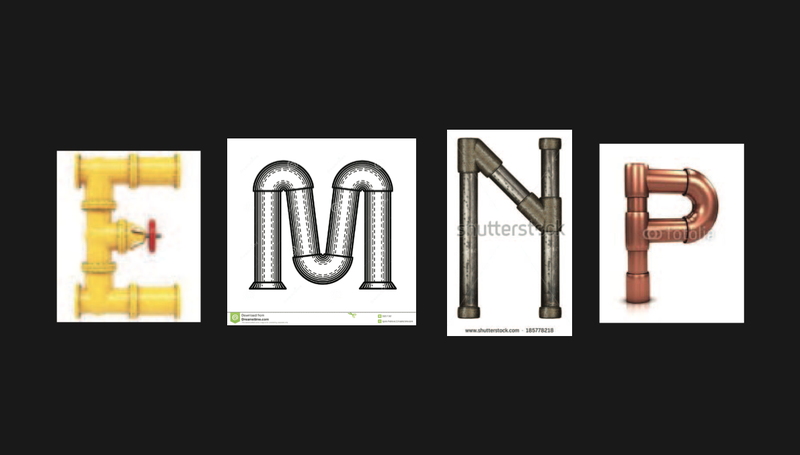 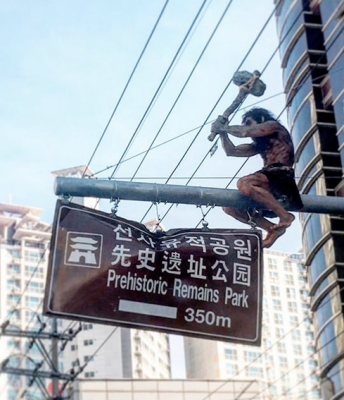 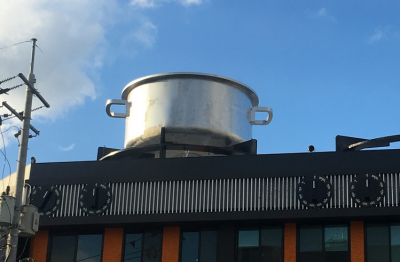 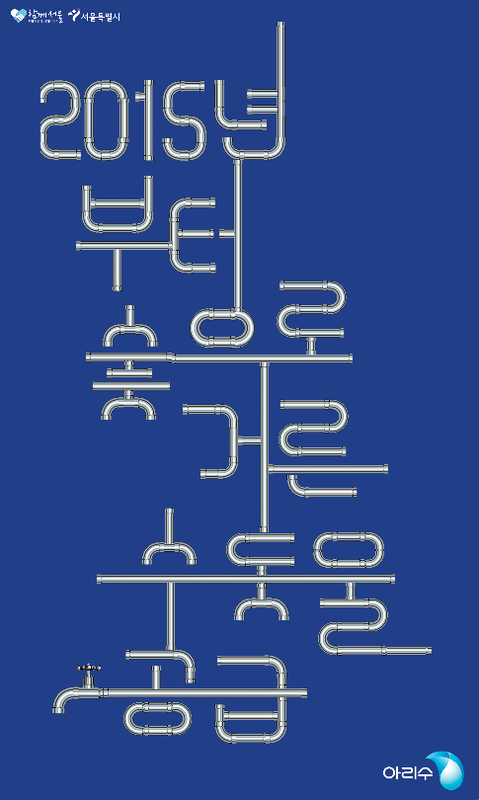 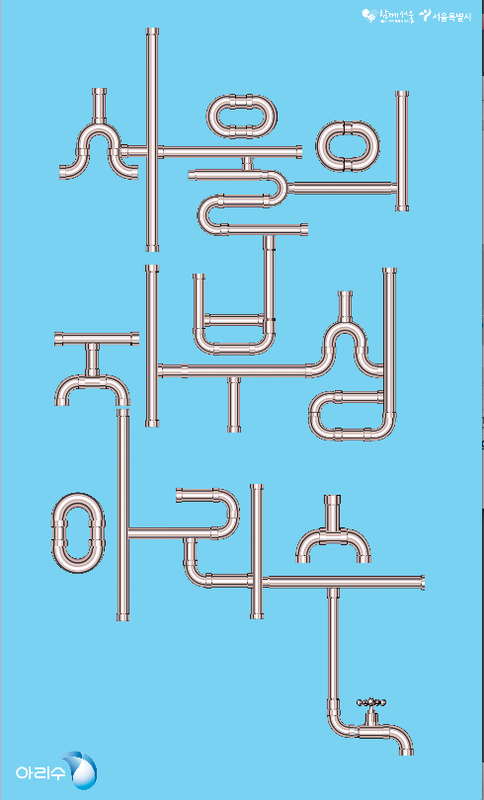 임의의 가공은 최소화 하고 이미 만들어진 기성 제품 파이프를 활용하는 것이 관건이었음으로 퍼즐/꼴라주 하듯 국내외 파이프/엘보 제품을 샅샅히 조사하여 사이즈와 비례를 맞춤. 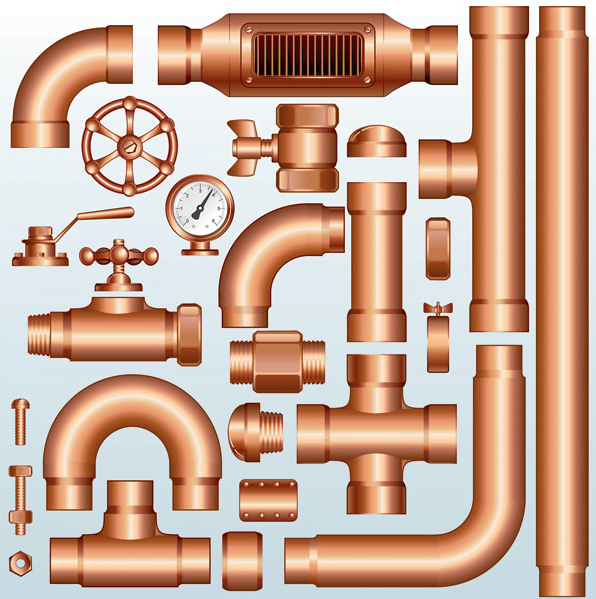 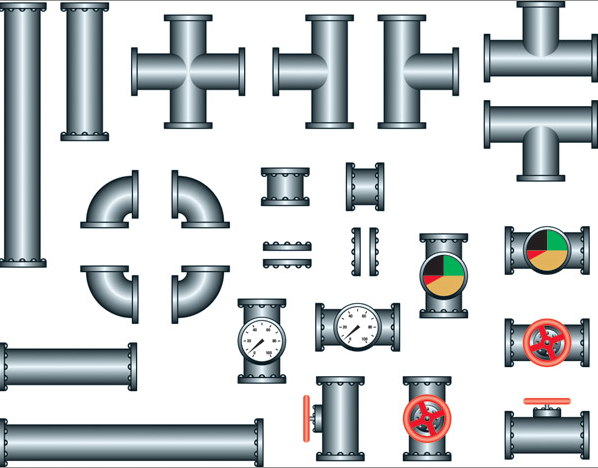 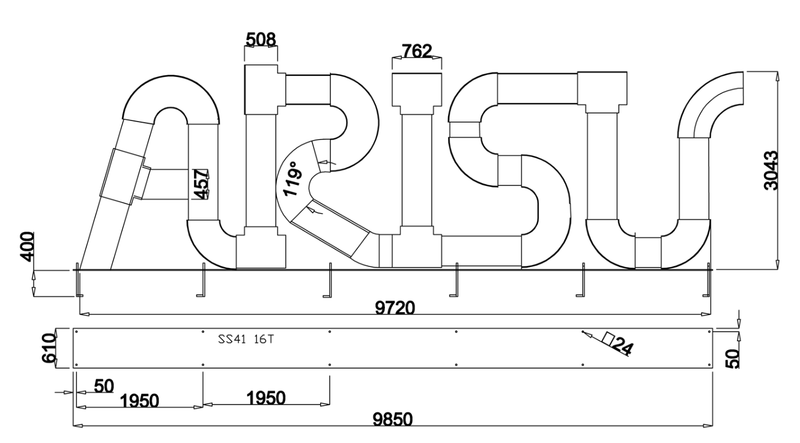 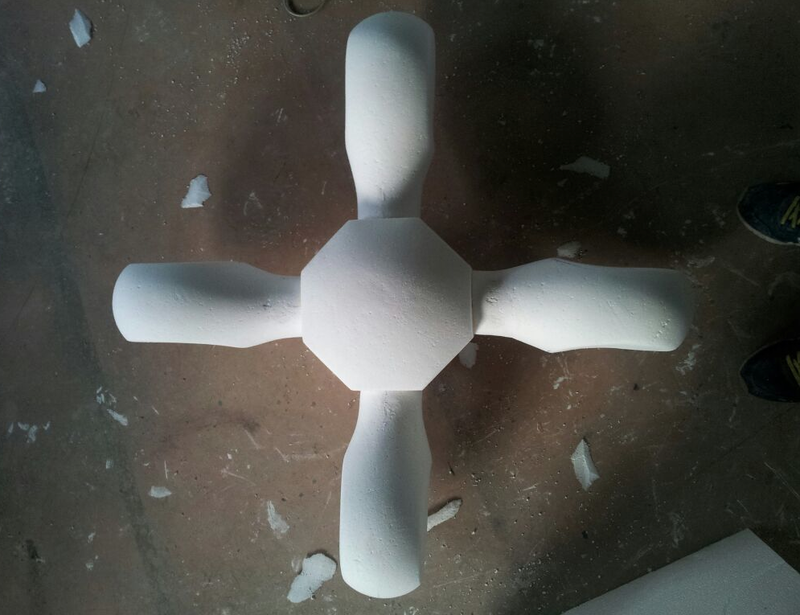 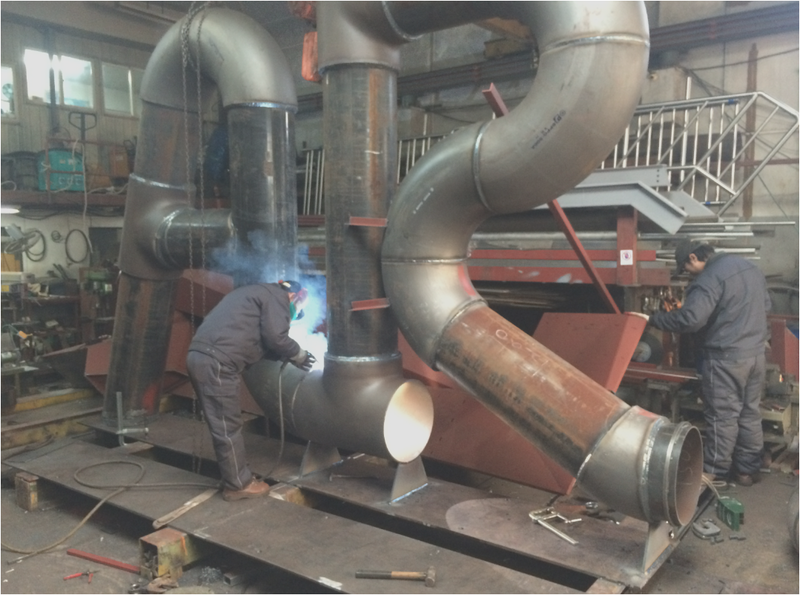 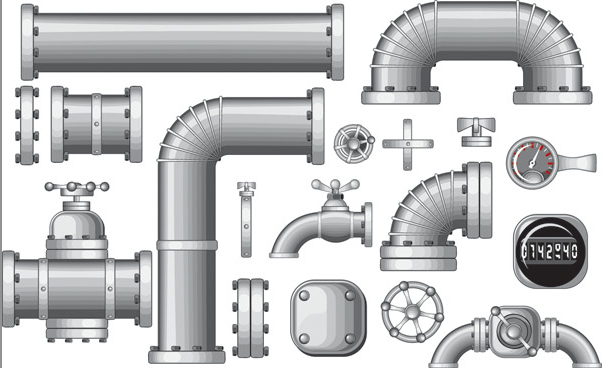 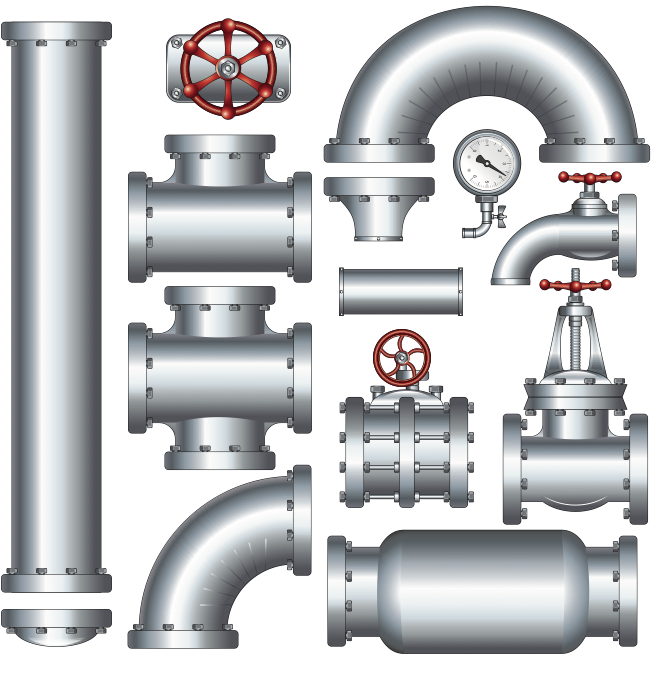 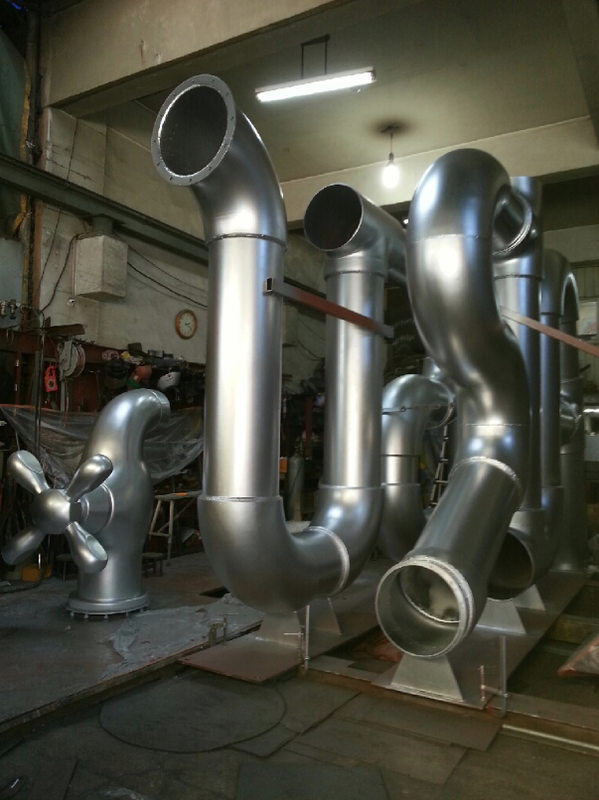 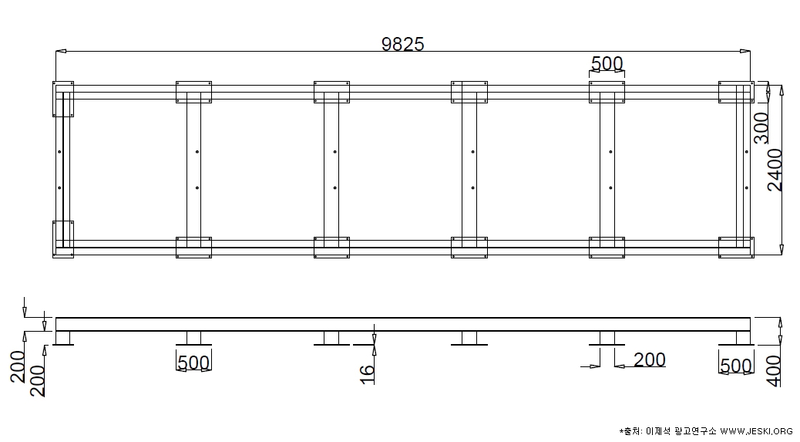 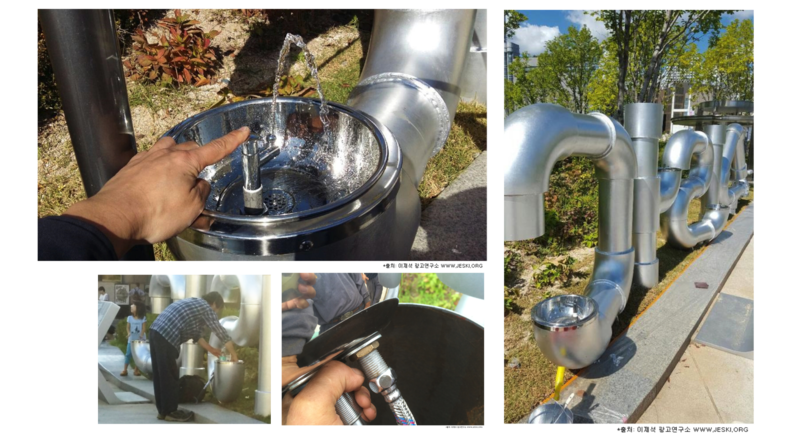 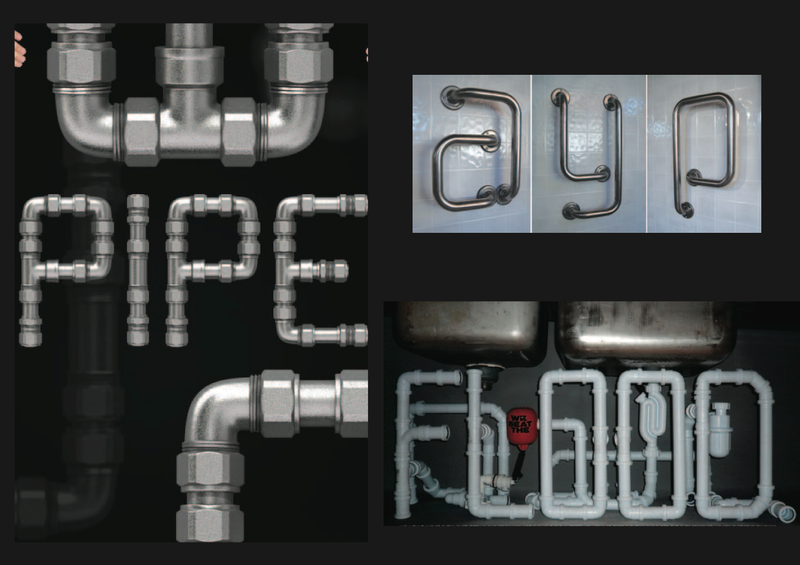 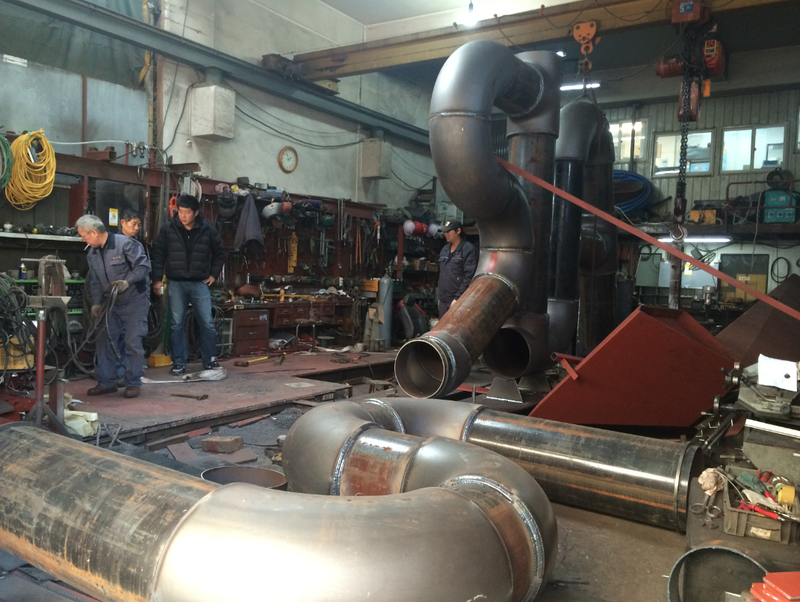 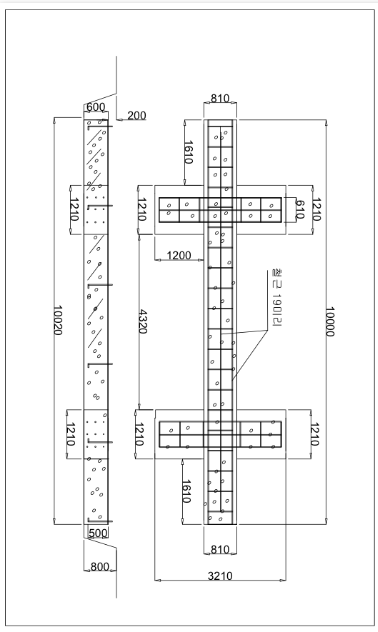 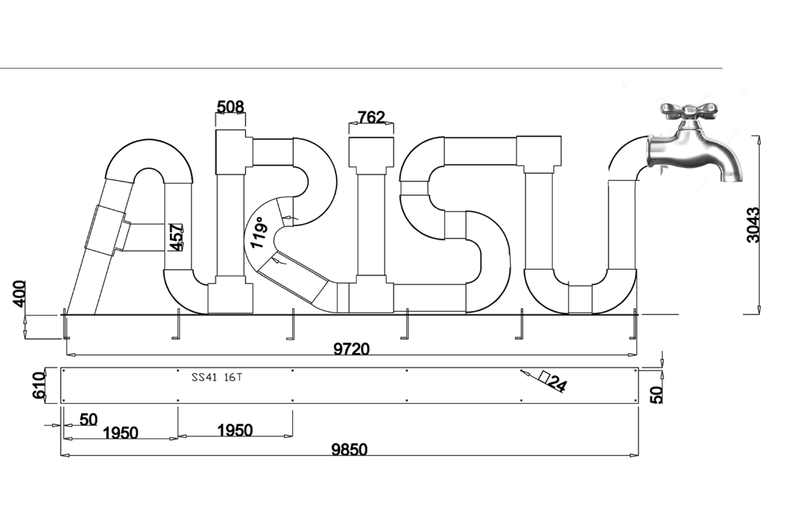 Because we wanted to use already-made pipe models, we researched all the sizes of products domestically and internationally. 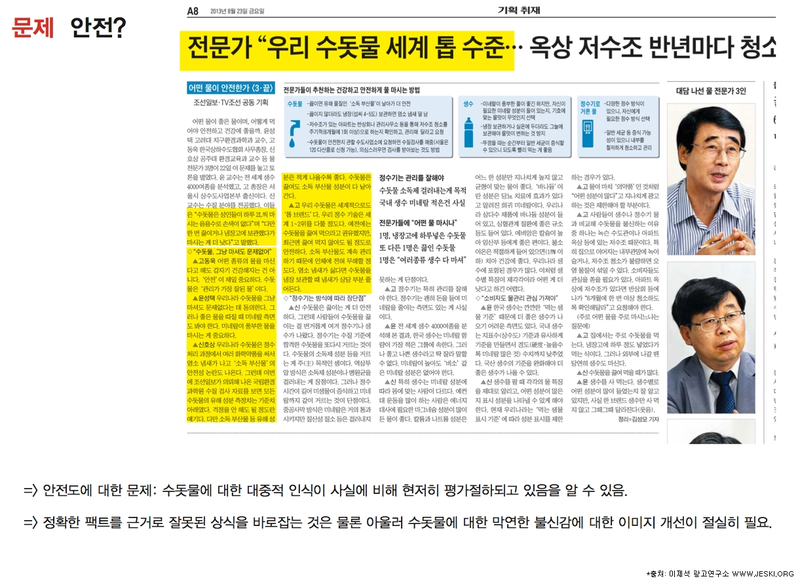 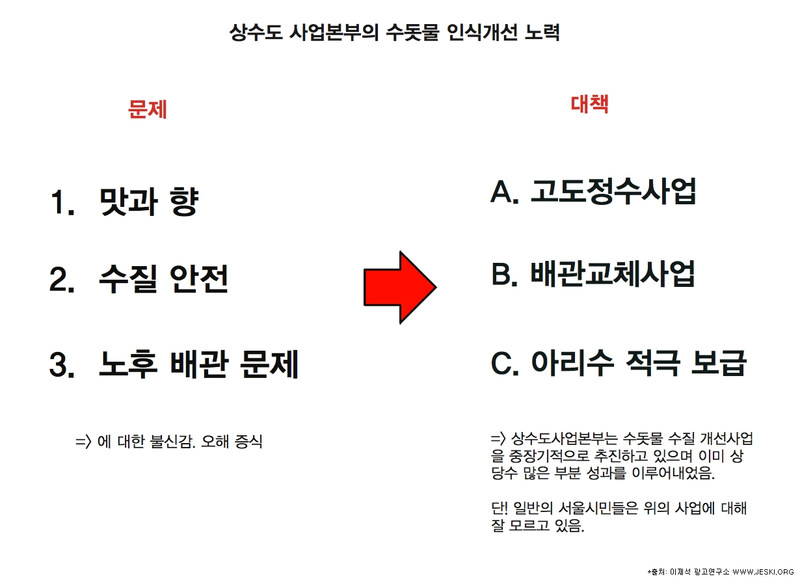 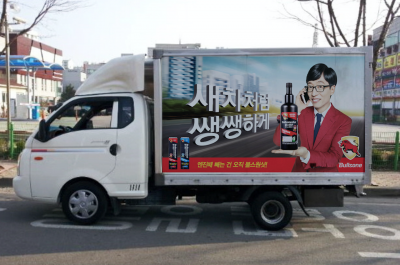 *교통 혼잡지역임으로 역시 빨리 시공하고 빠지는 것이 관건임.